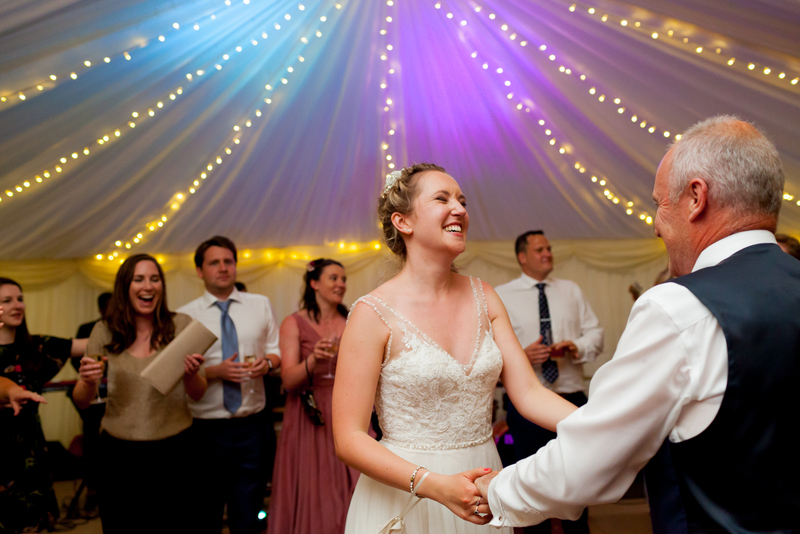 There are marquee weddings and the there Polly and Chris’s marquee wedding. 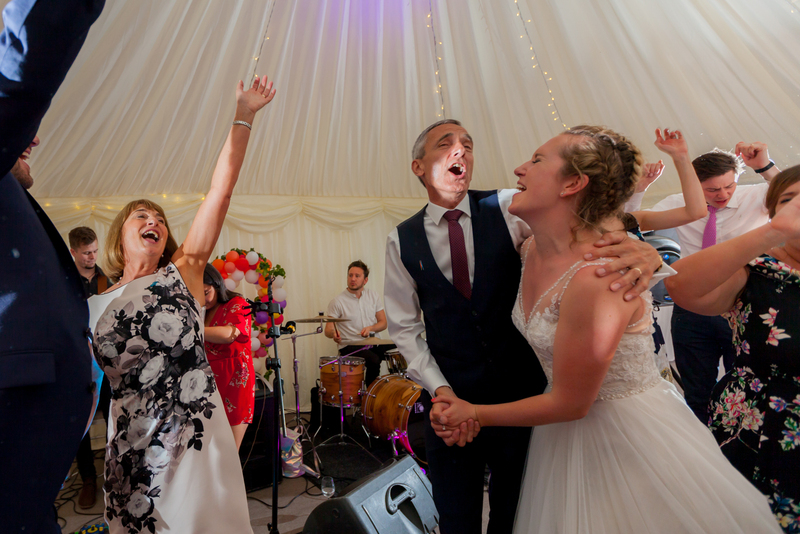 They had chosen to celebrate their love for each other with a good old fashioned marquee wedding reception rock n roll style. 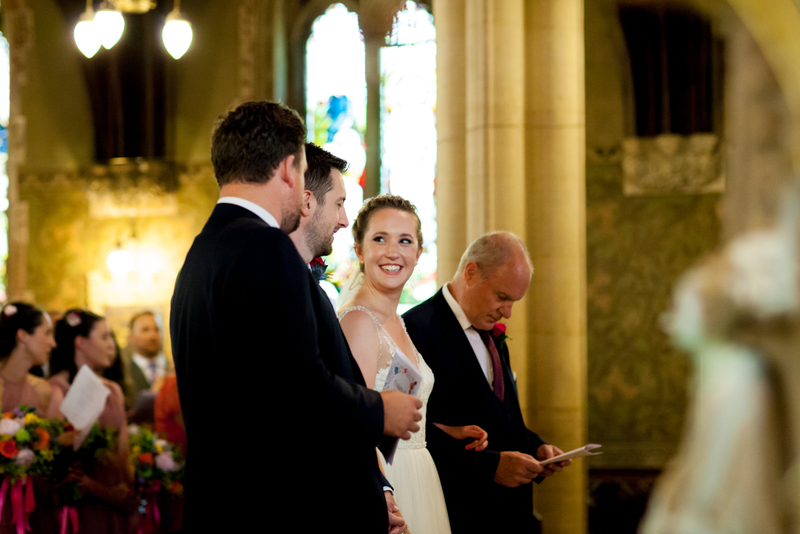 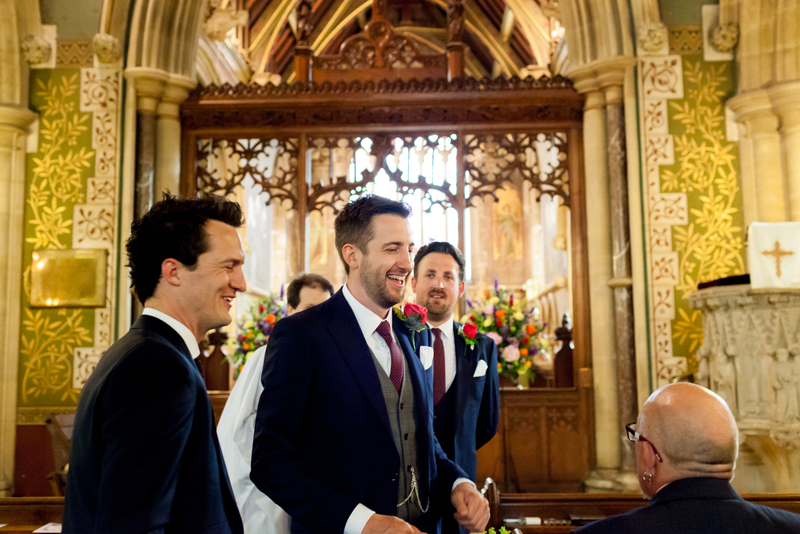 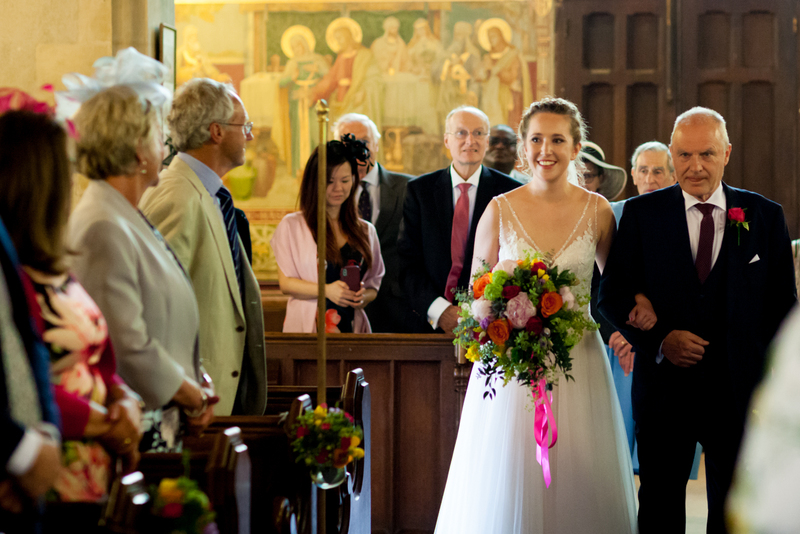 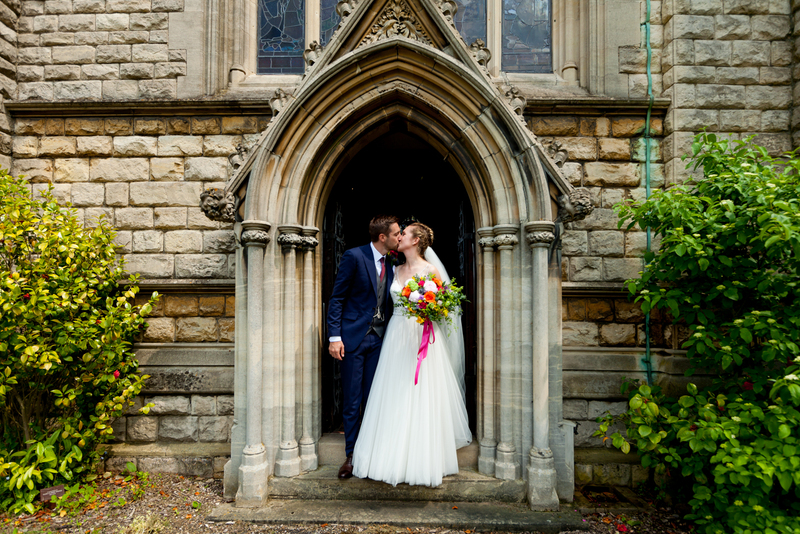 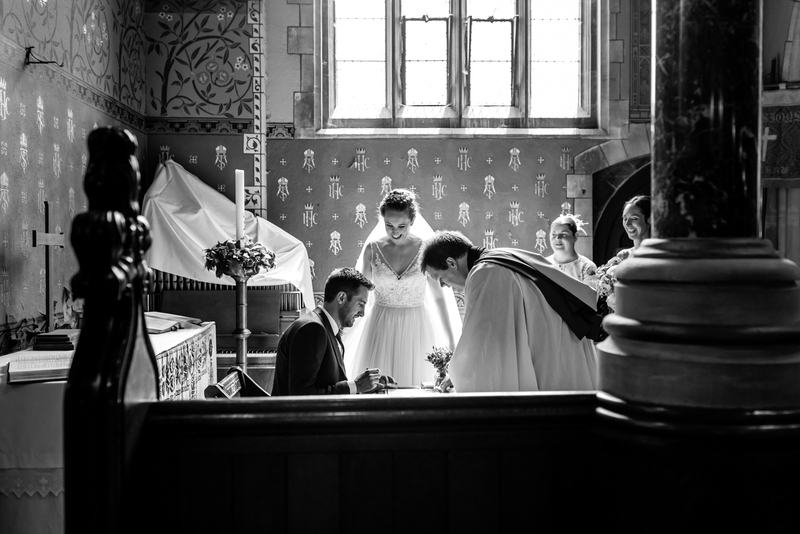 Choosing to say their vows to each other at St Thomas A Becket Church in Hertfordshire. 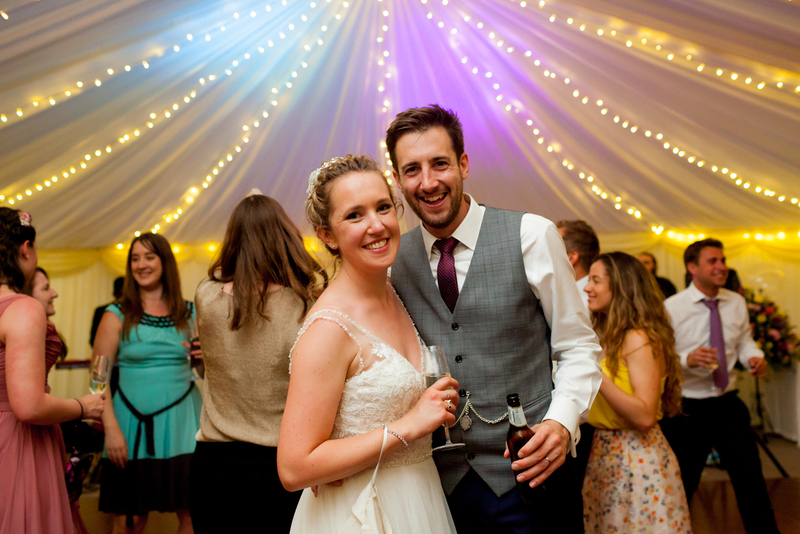 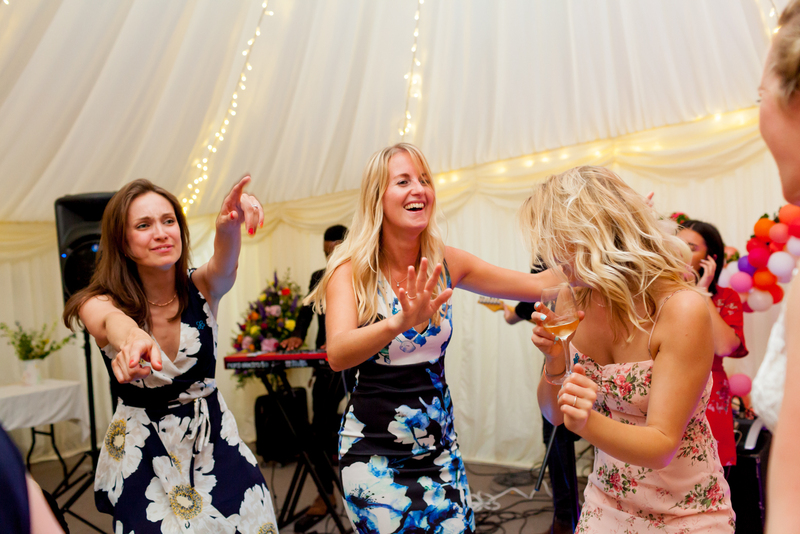 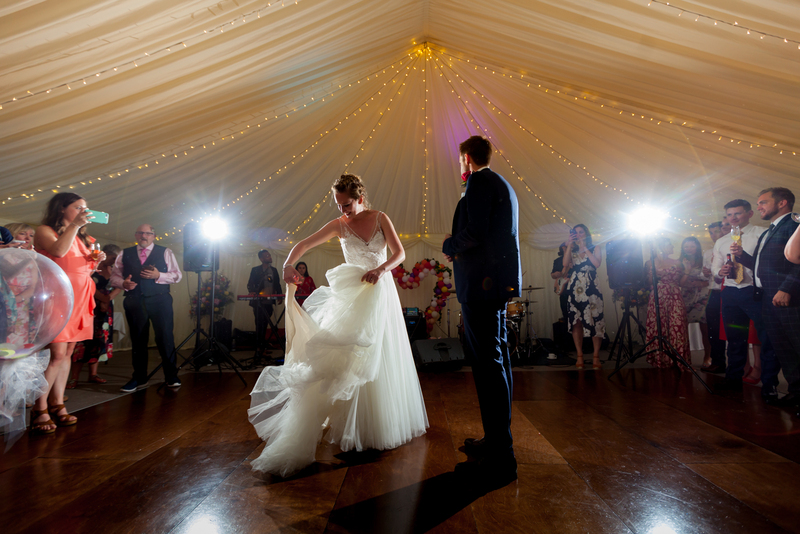 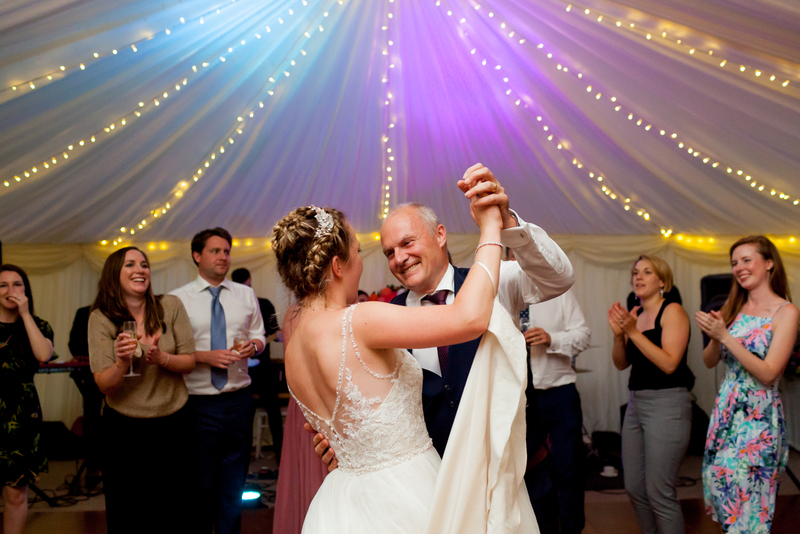 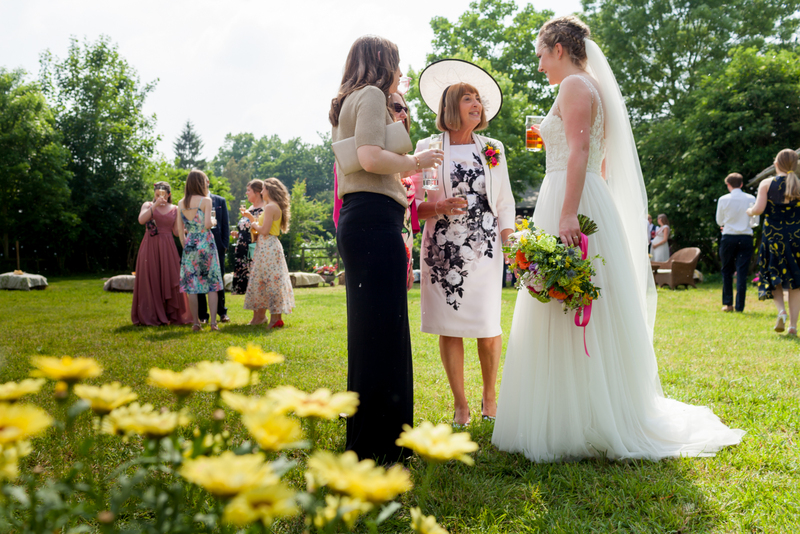 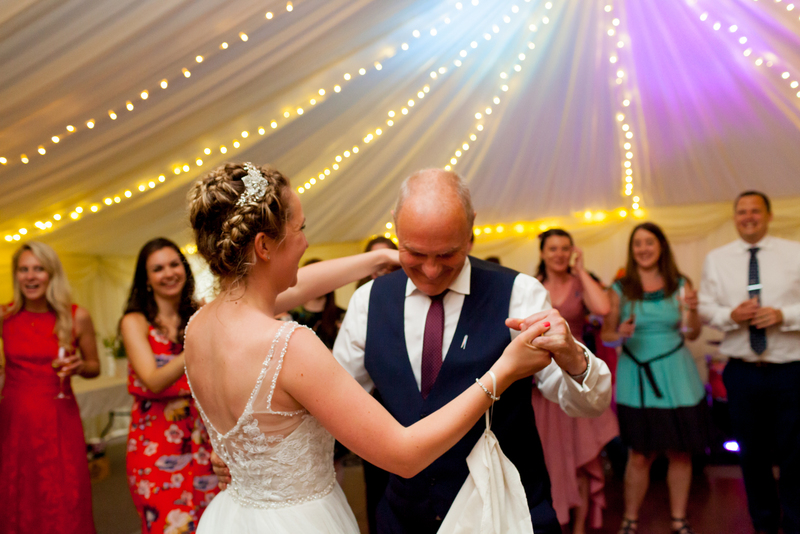 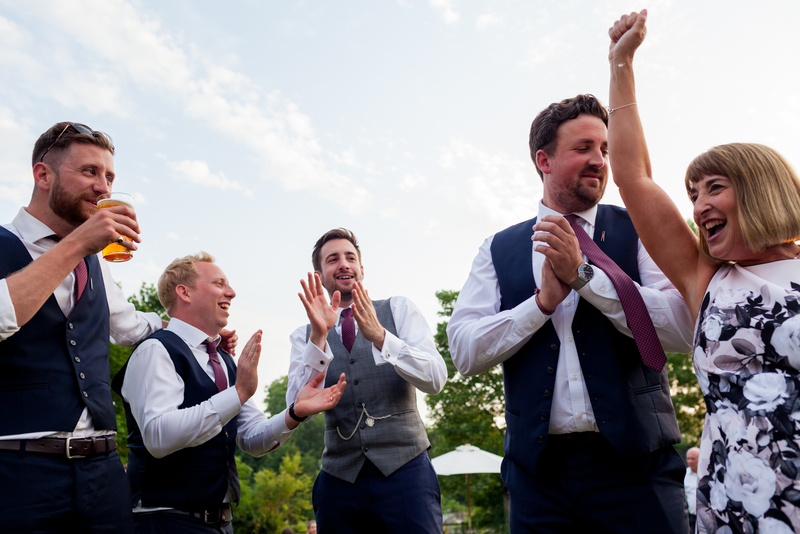 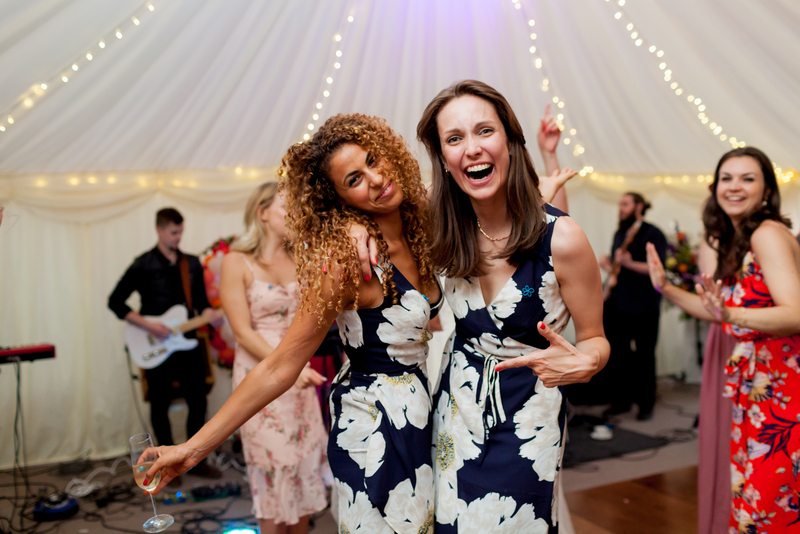 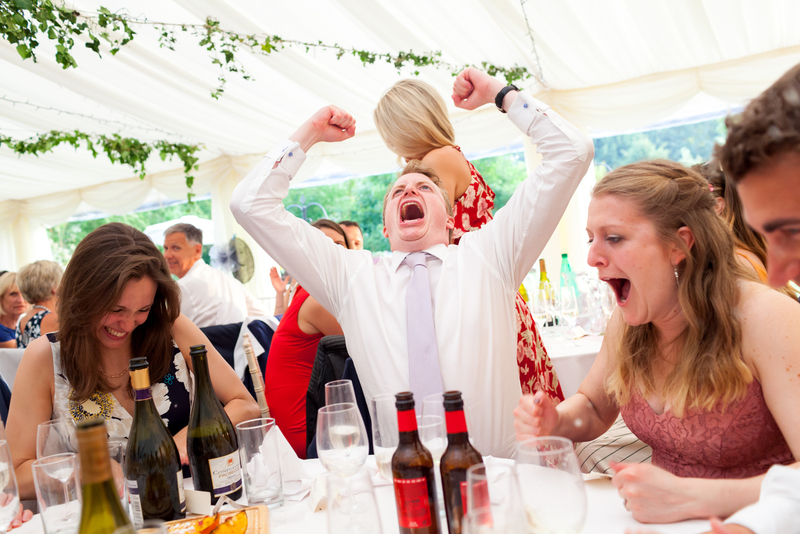 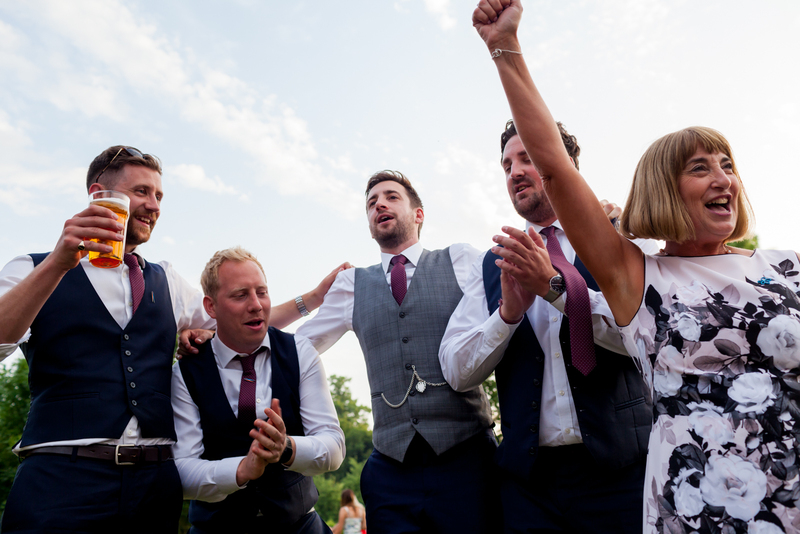 Their marquee wedding reception was held at Polly’s fathers home. 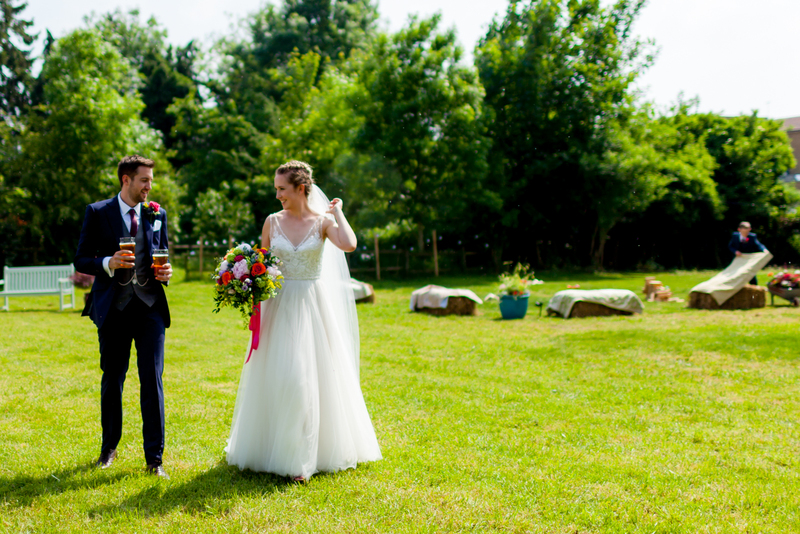 A stunning piece of land towards the back of his property it was the perfect area to host this very special wedding day and evening. 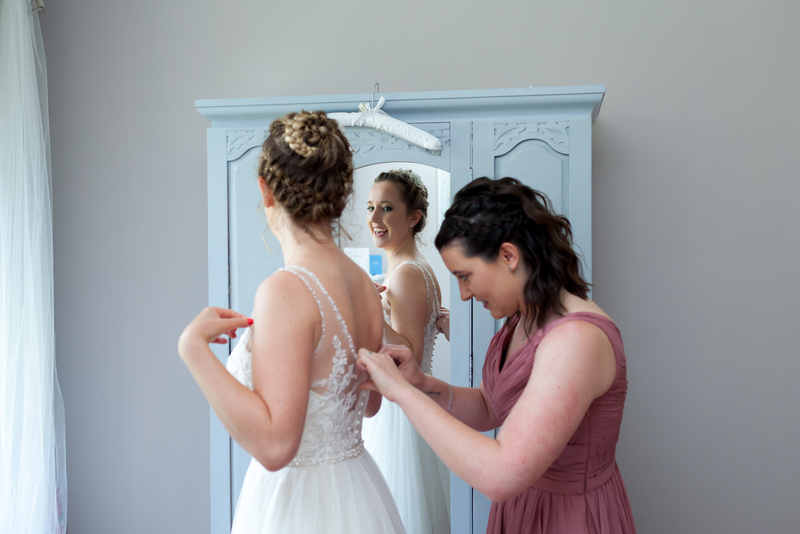 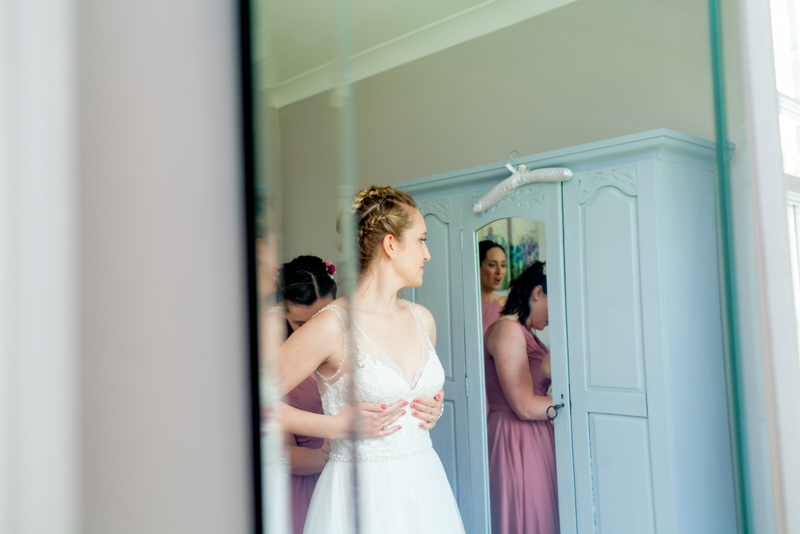 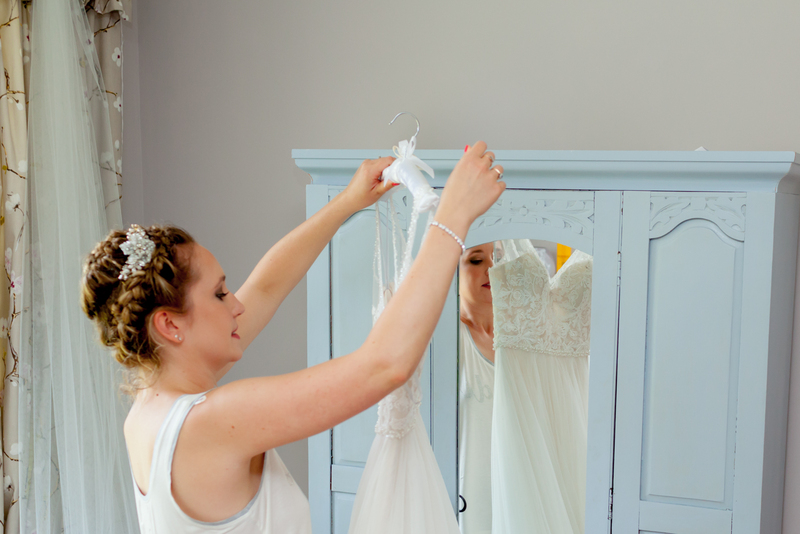 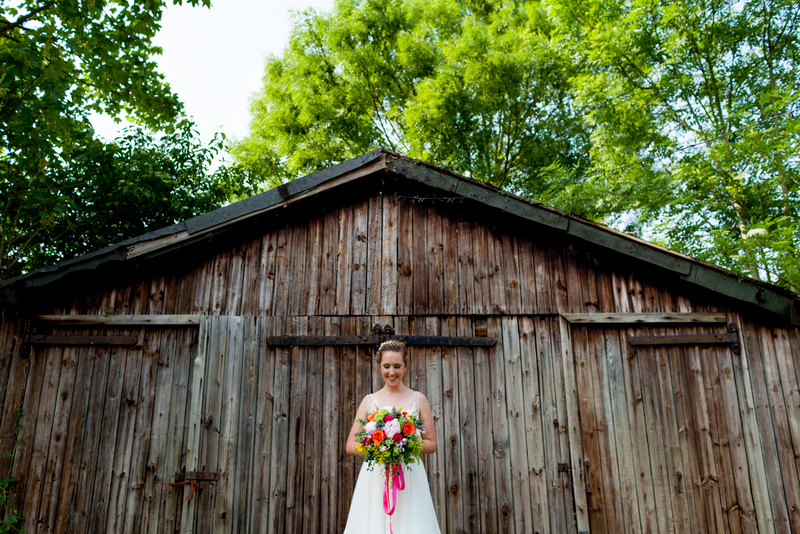 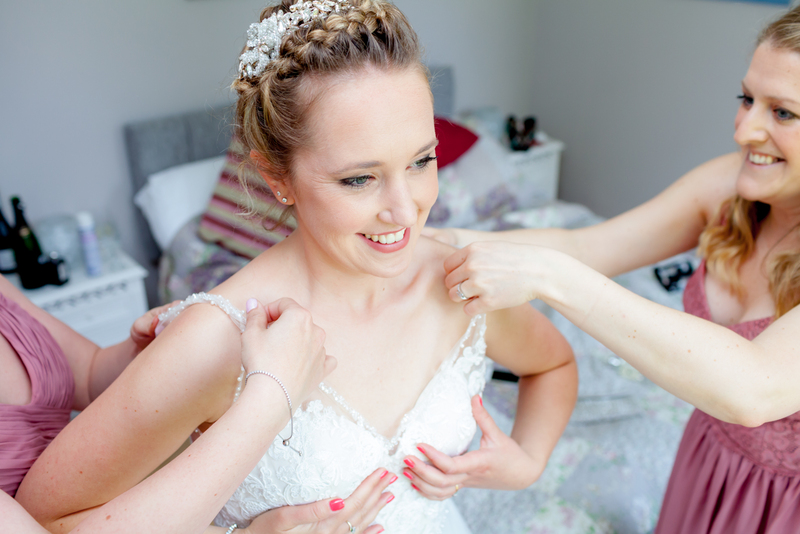 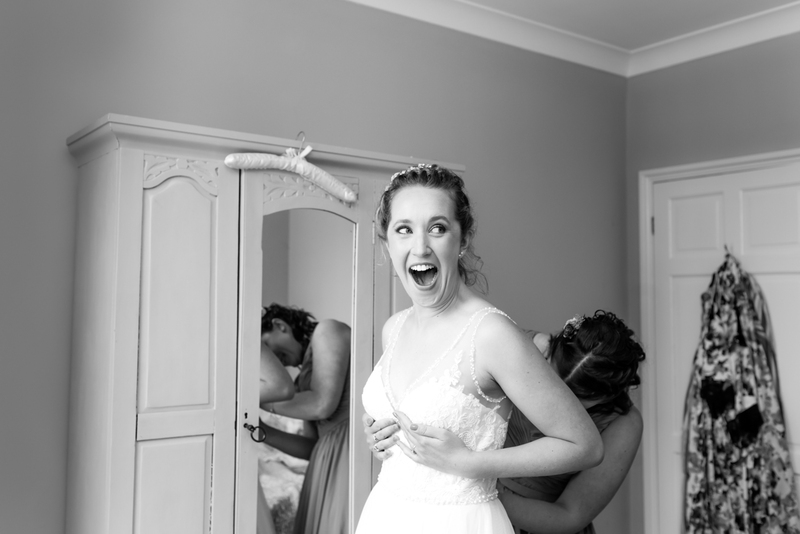 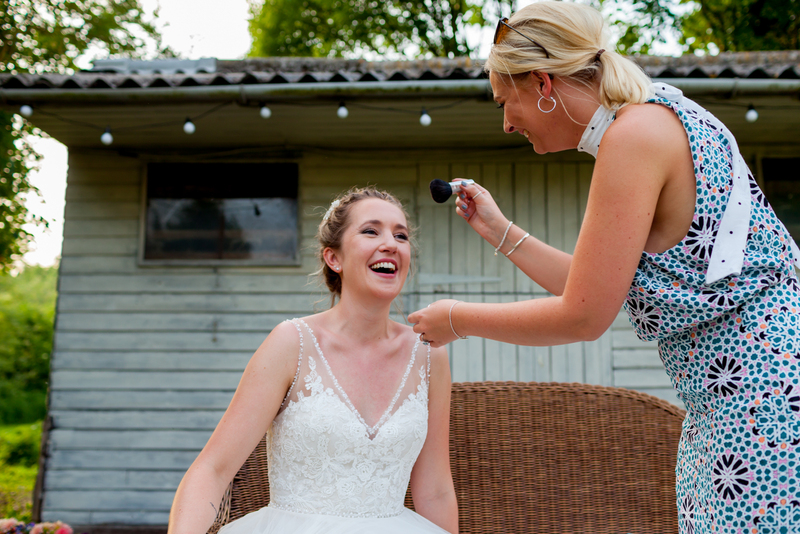 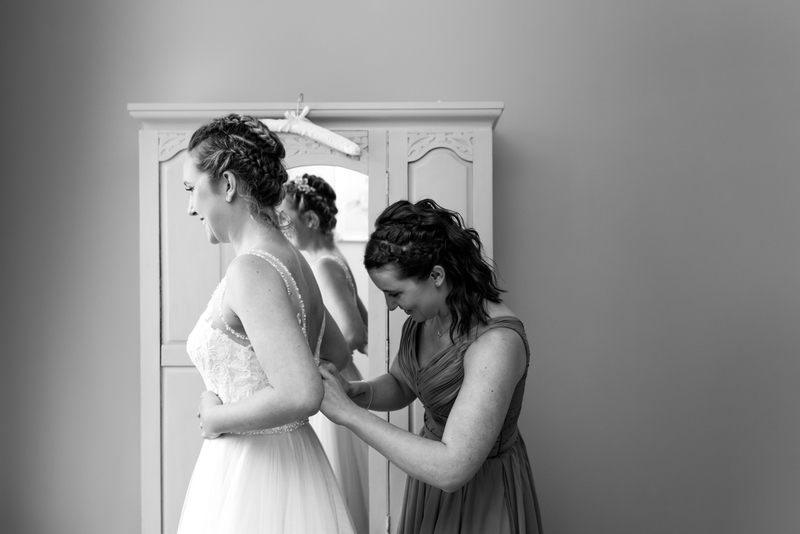 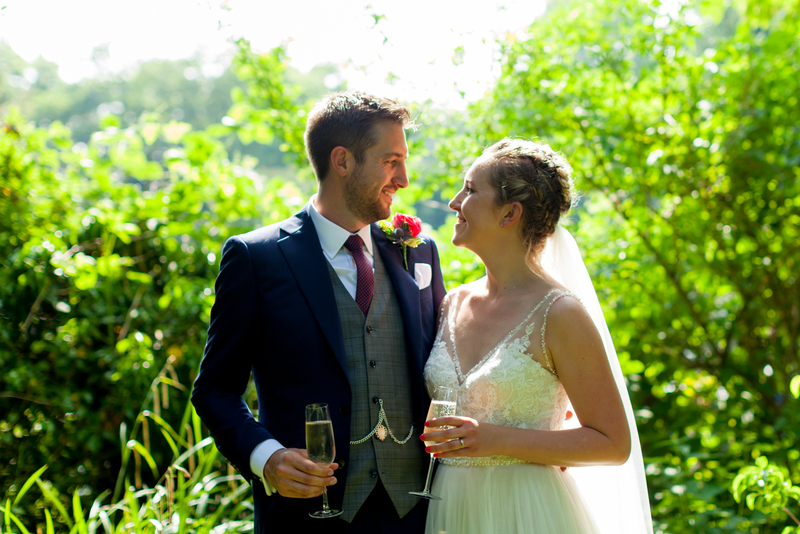 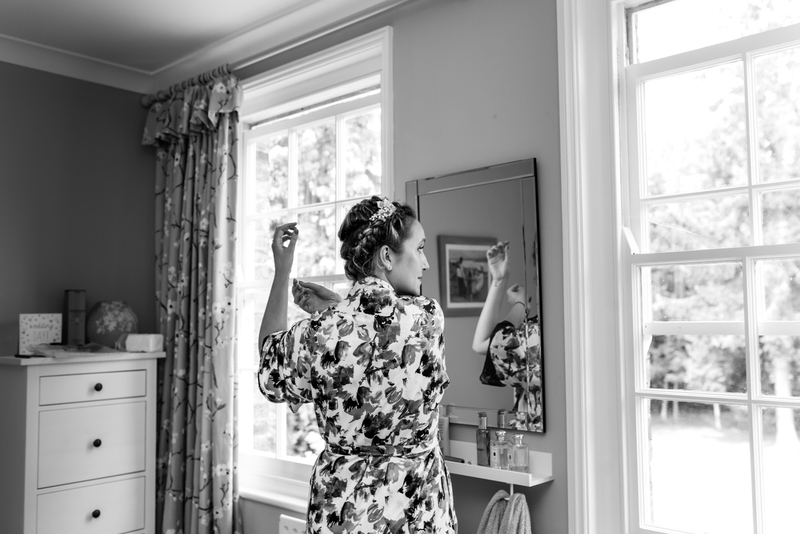 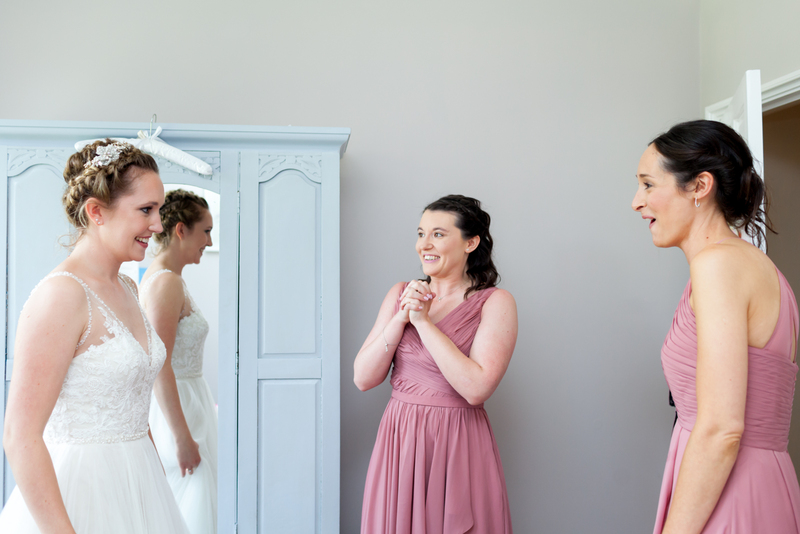 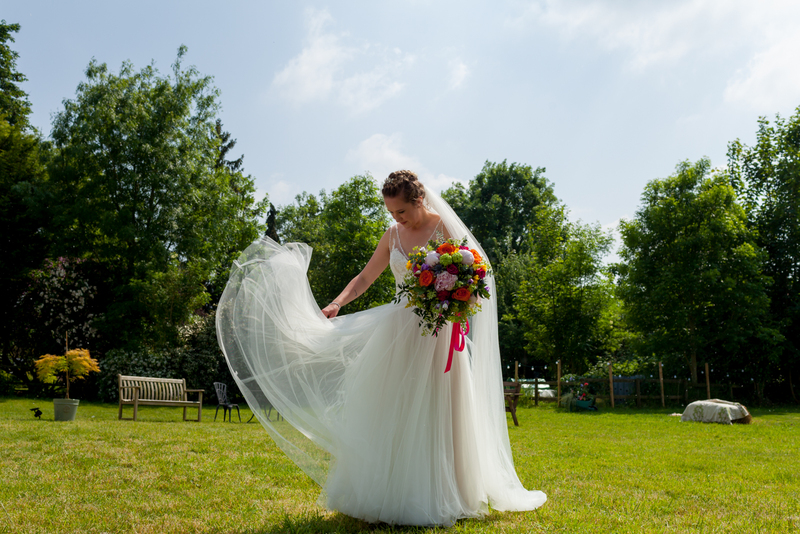 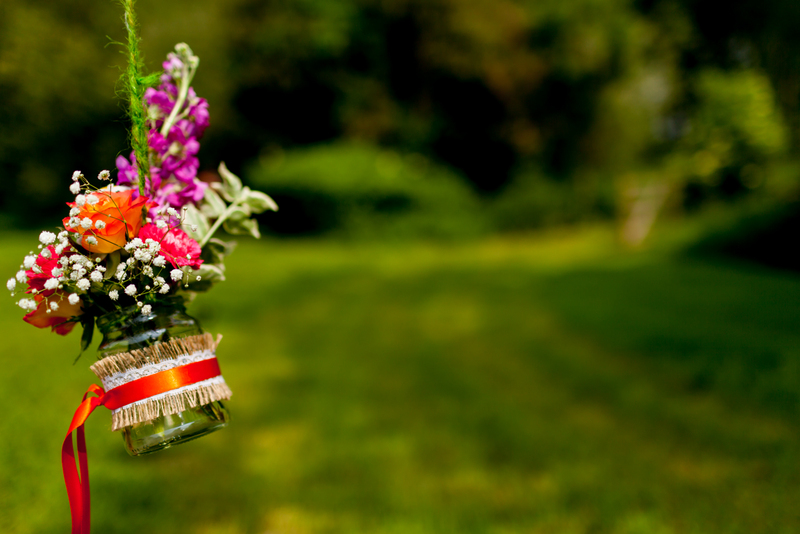 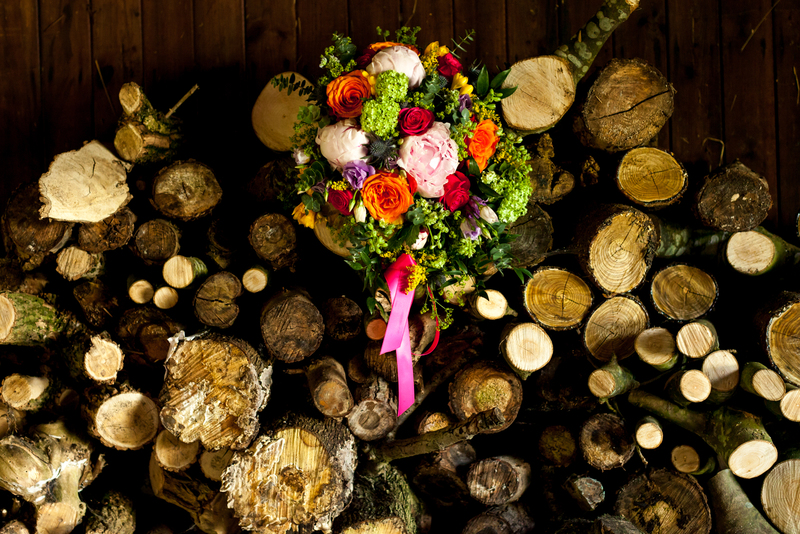 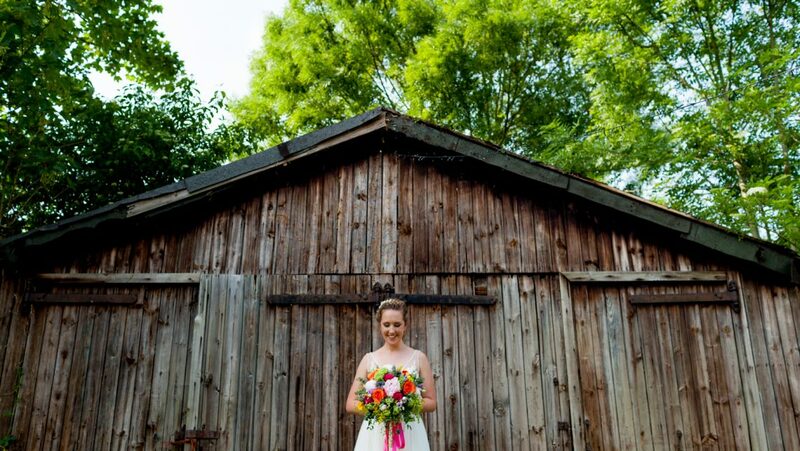 The weather was a cracker and the lovely Polly had her bridal preparations at home. 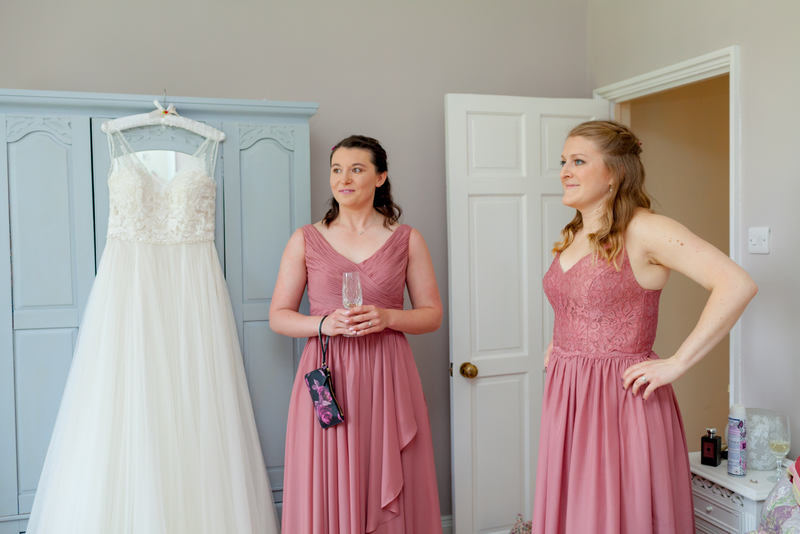 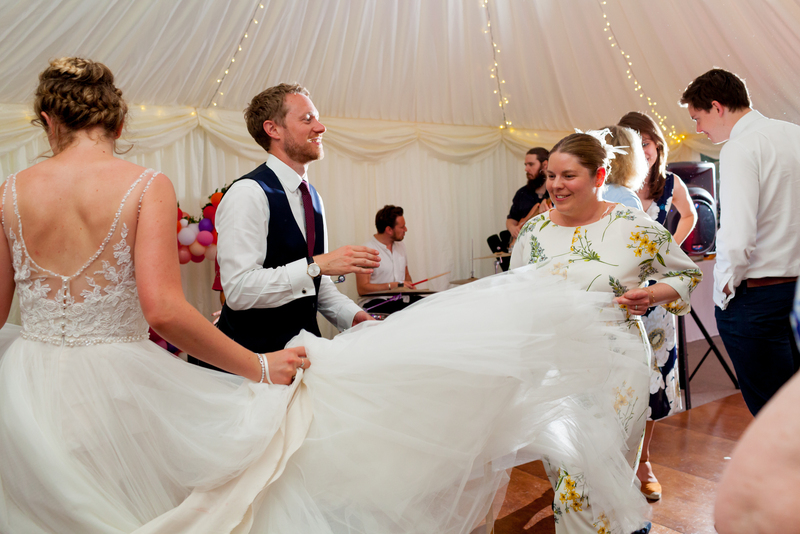 Jimmy Choo’s, a gorgeous wedding dress from Hatters at Hatfield House, it was a teary moment for all when Polly put on her wedding dress. 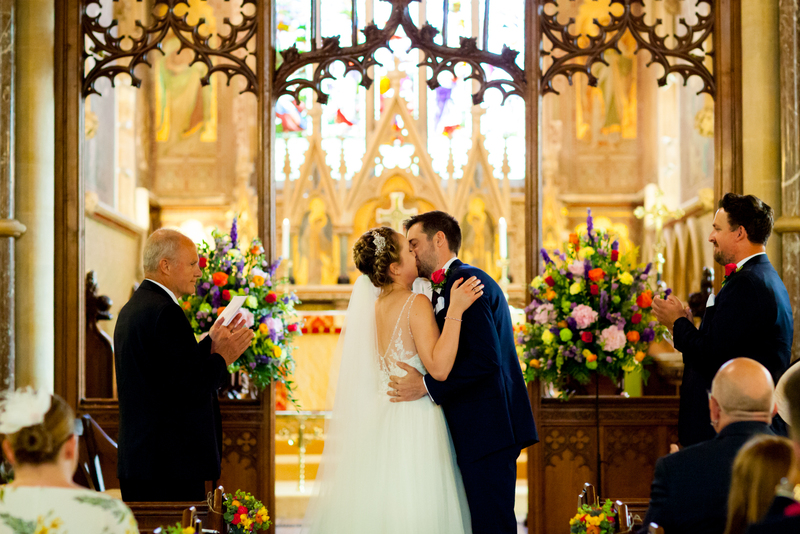 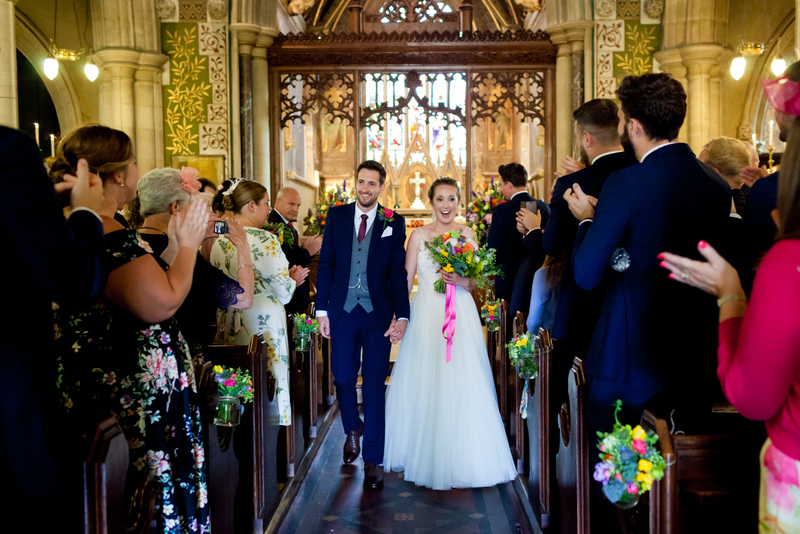 The wedding ceremony was simply wonderful in the gorgeous Church. 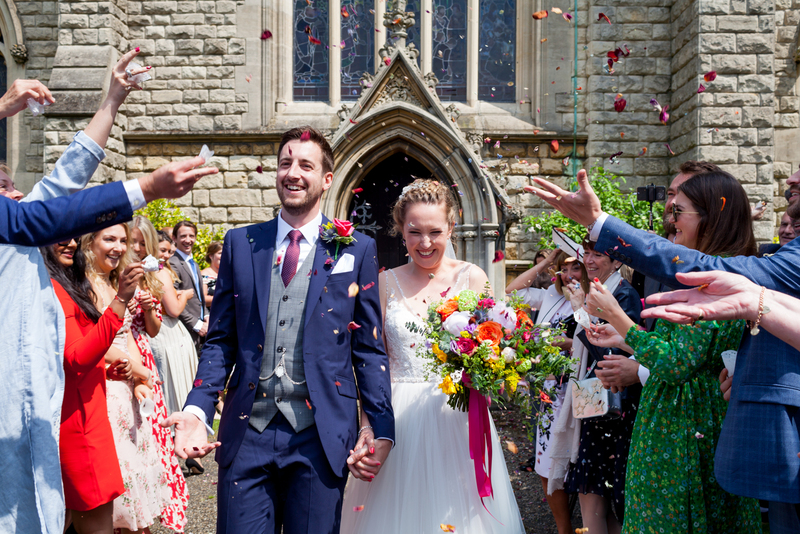 Confetti was thrown around the new bride and groom as they made their way outside into the May sunshine. 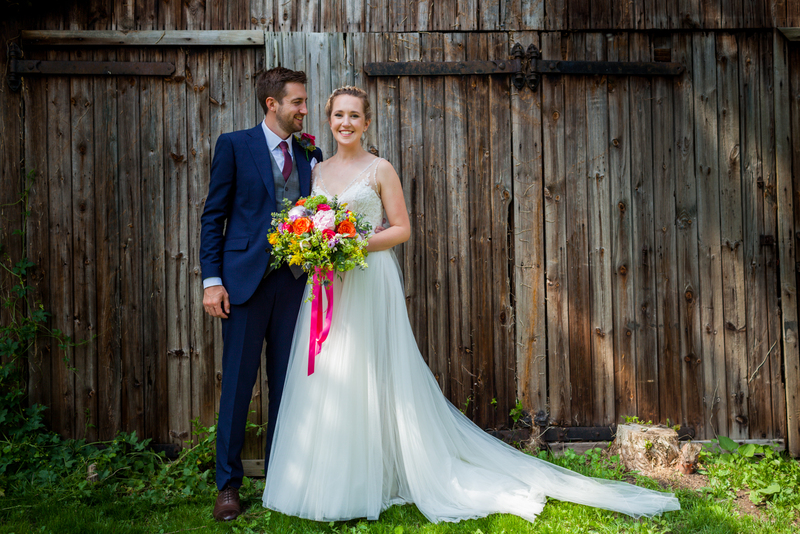 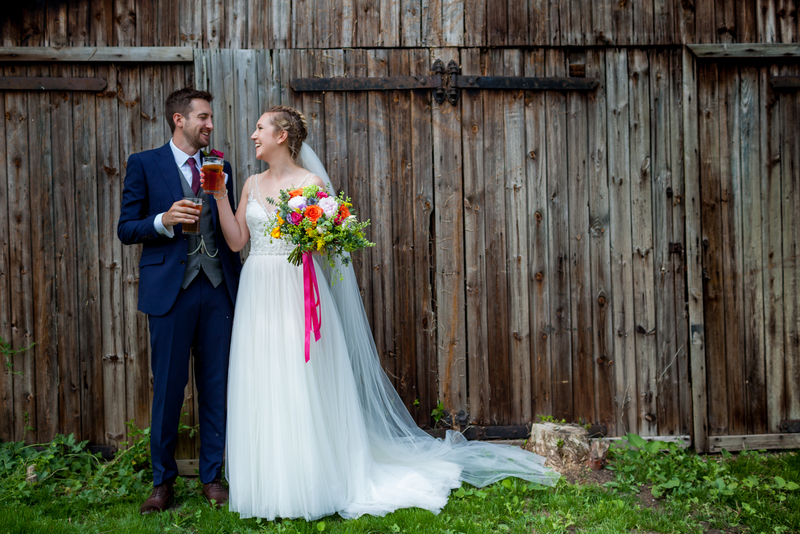 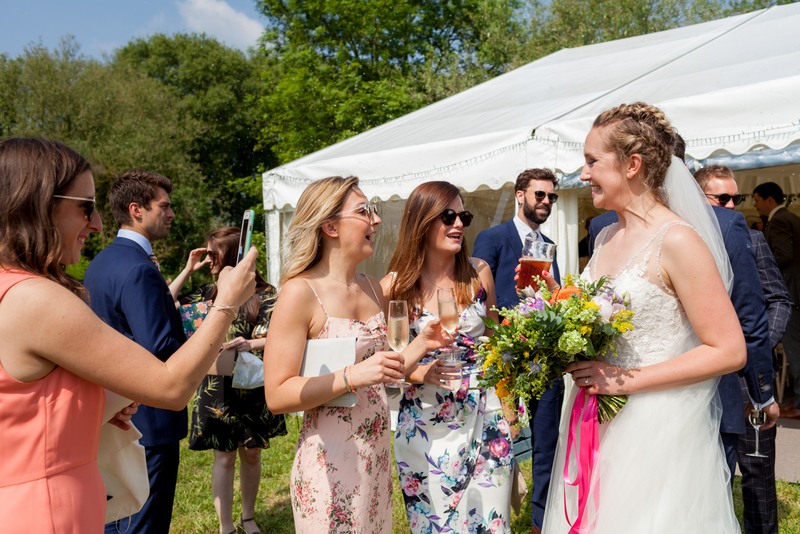 Think rustic, festival type vibes as soon as the newlyweds arrived back to their marquee wedding. 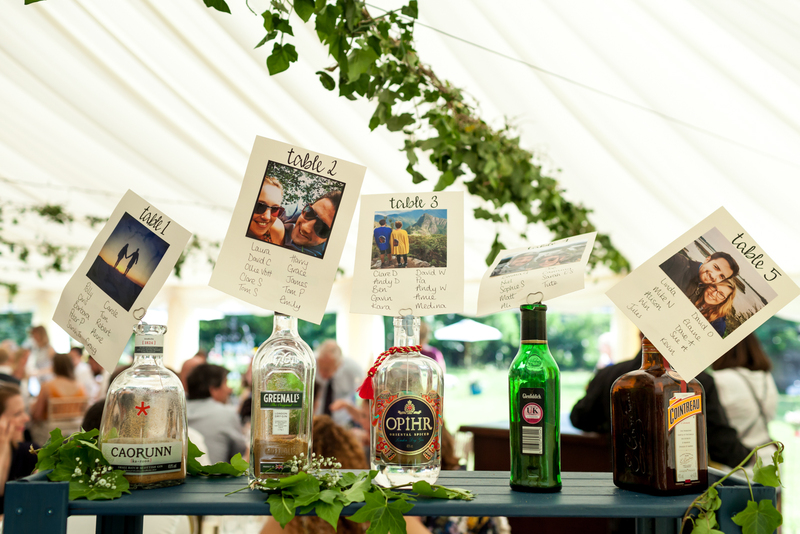 Pimm’s, gin and tonics and pints of ale flowing. 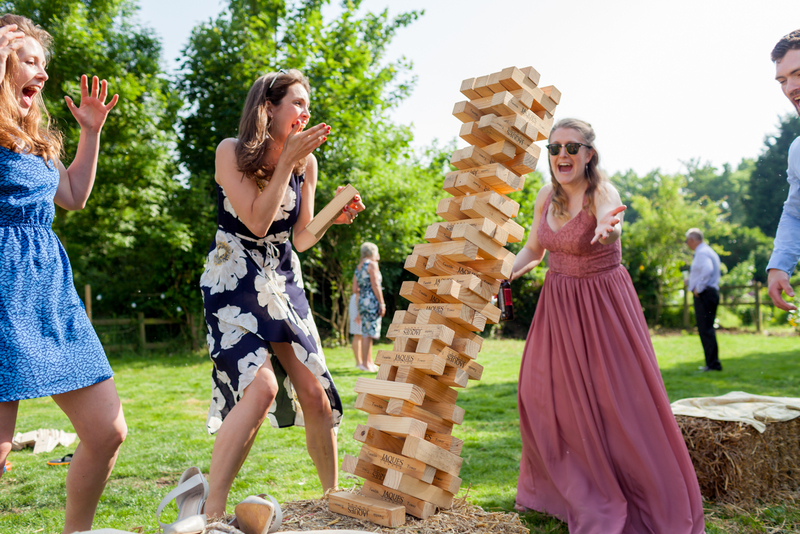 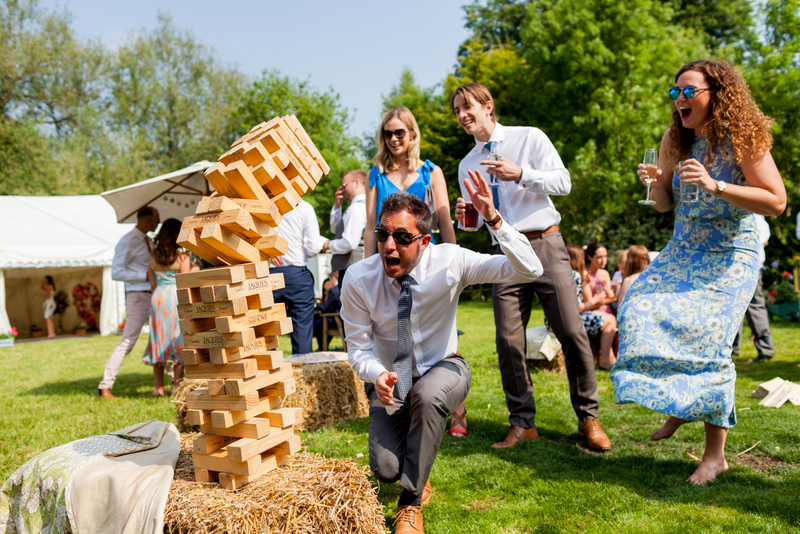 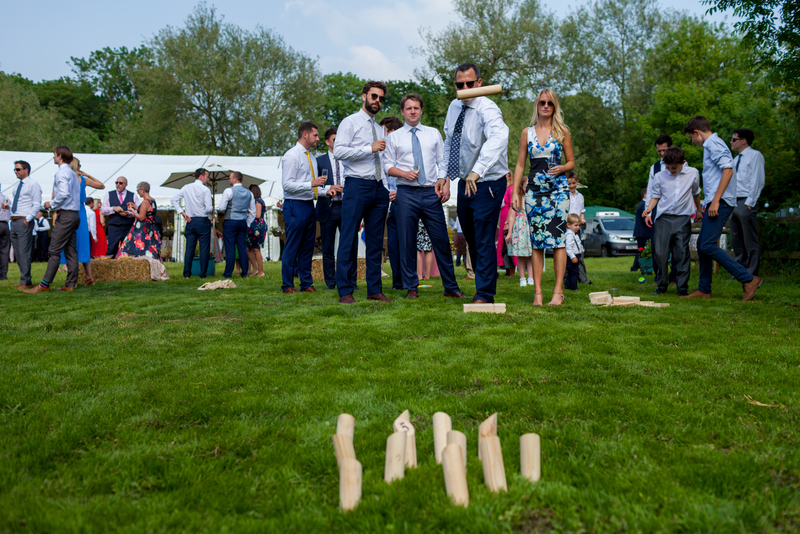 Giant jenga which kept the wedding guests amused for ages in the May evening sunshine. 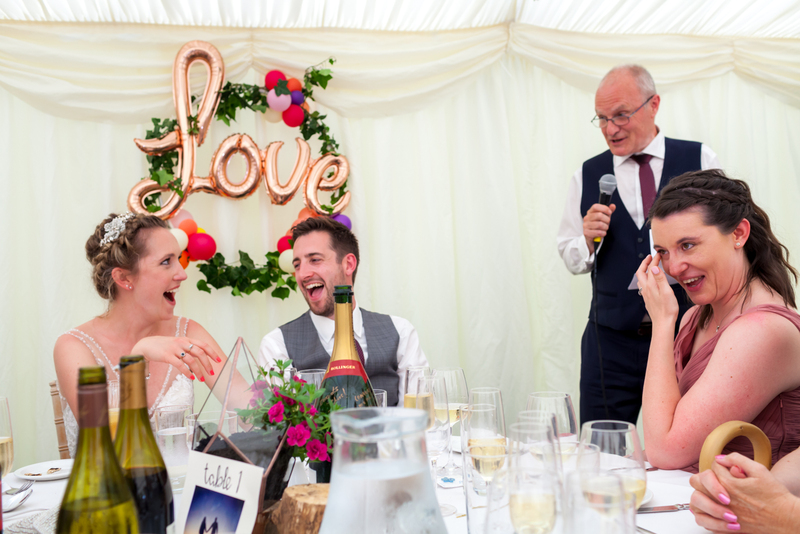 When I look through the images of this wedding it’s very difficult not to see a couple and their entire wedding party laughing. 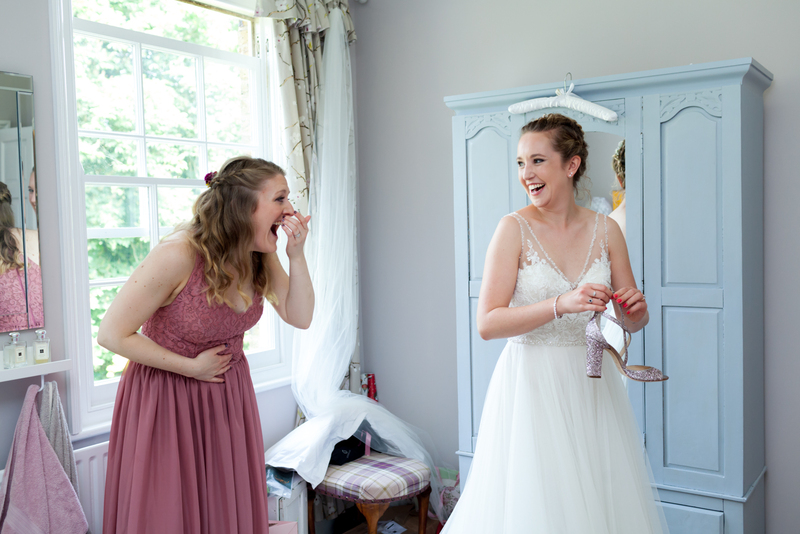 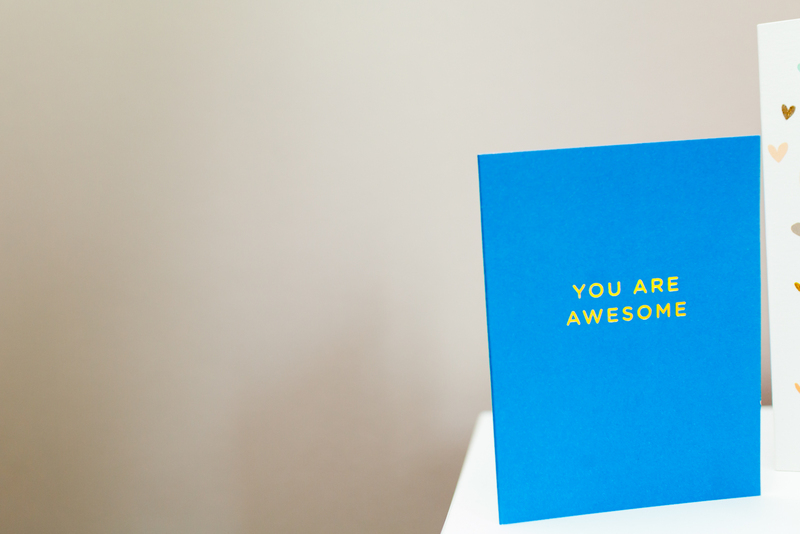 Giggle, laughter and big hugs everywhere. 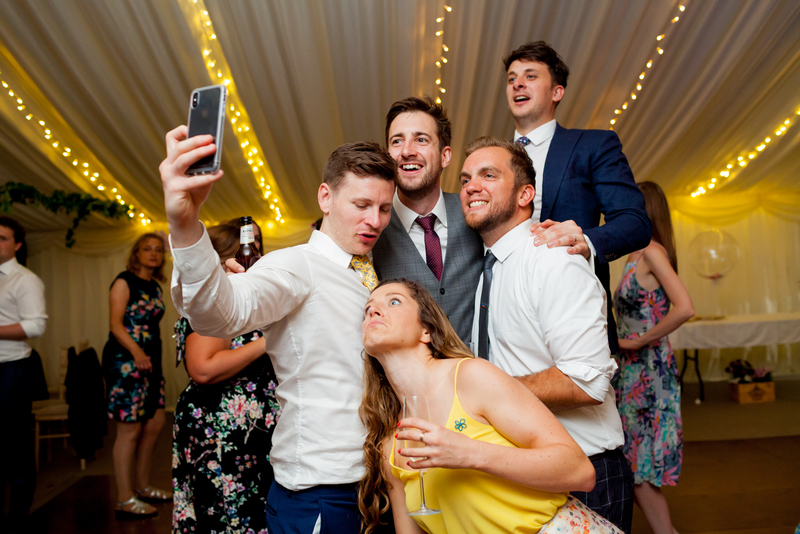 I knew they were all going to party hard. 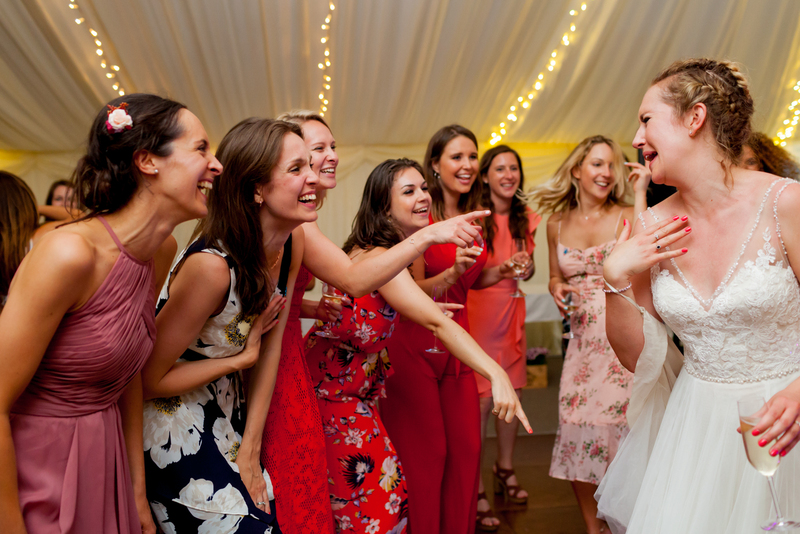 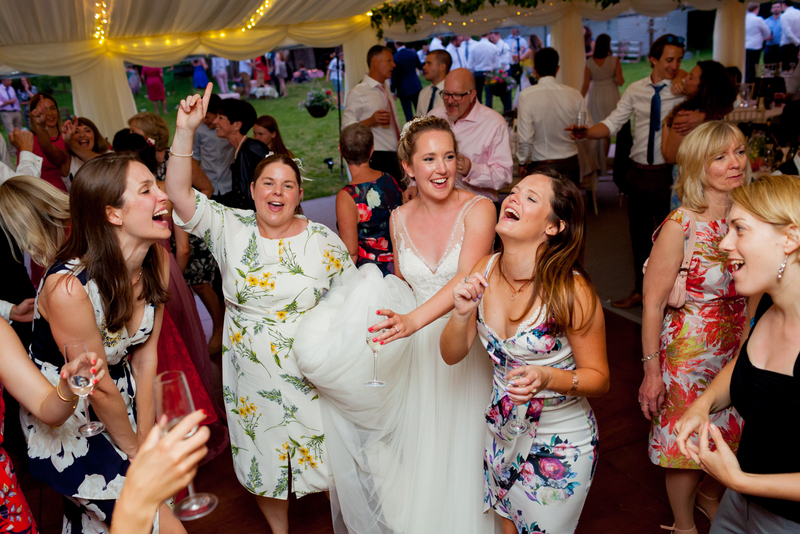 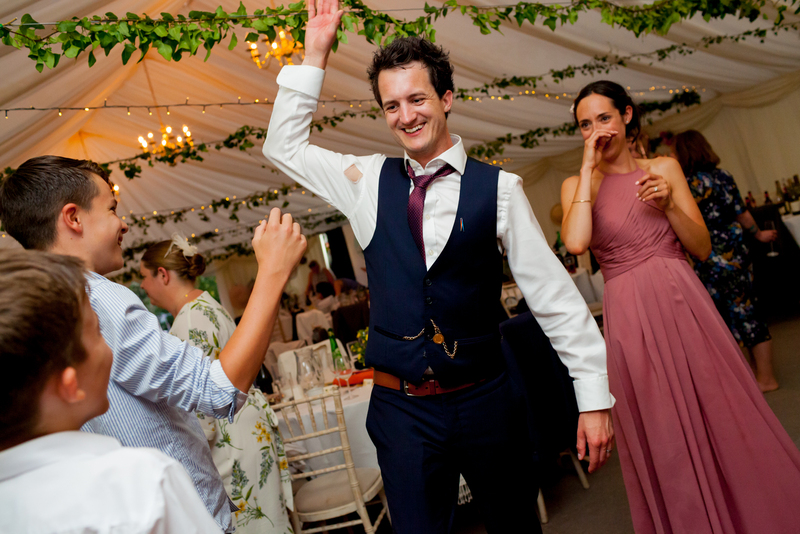 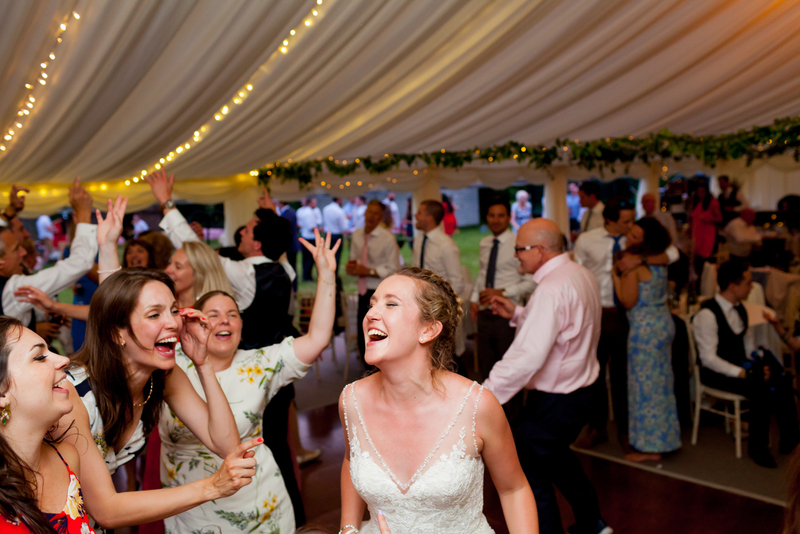 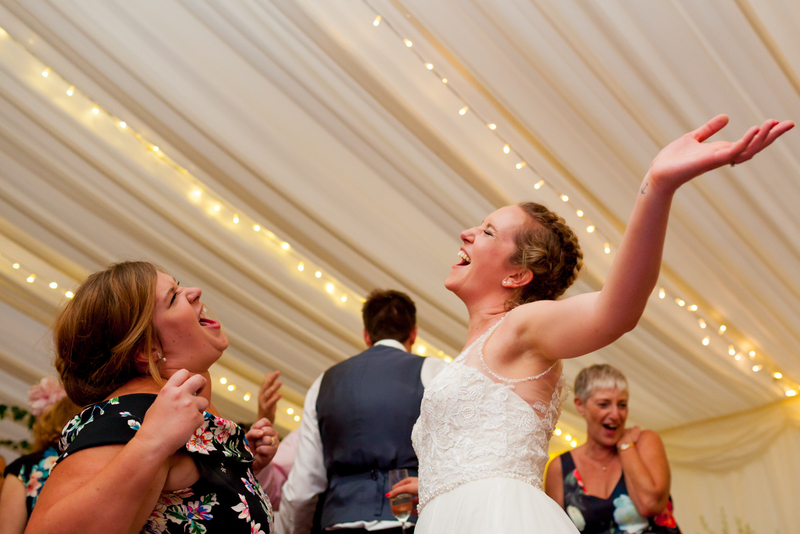 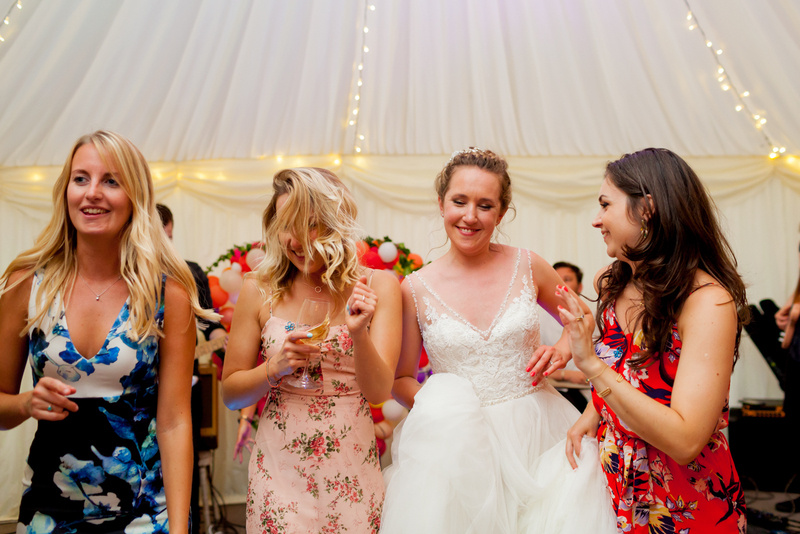 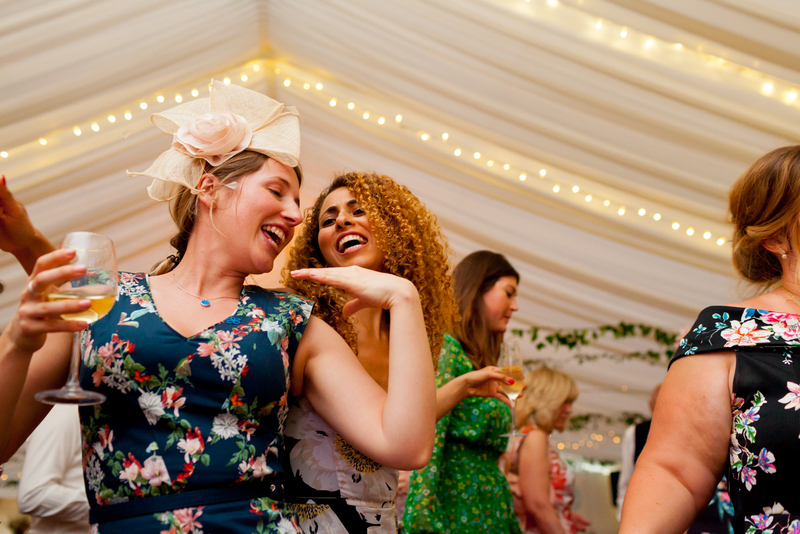 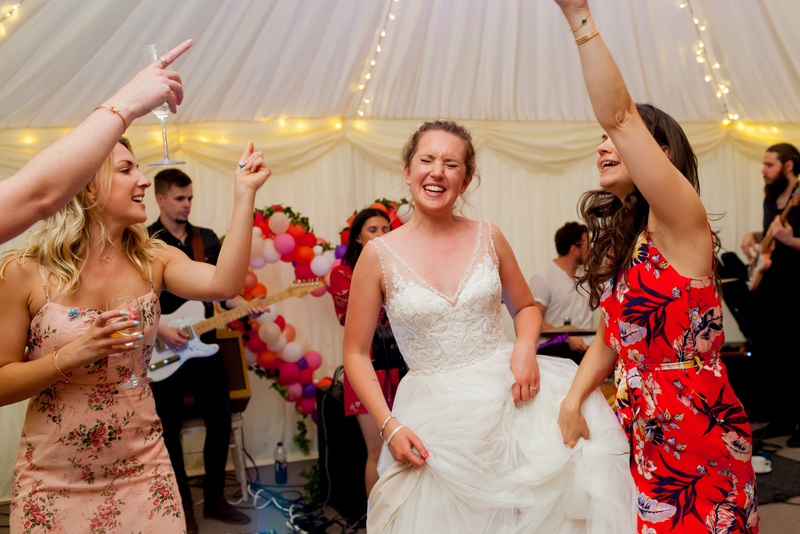 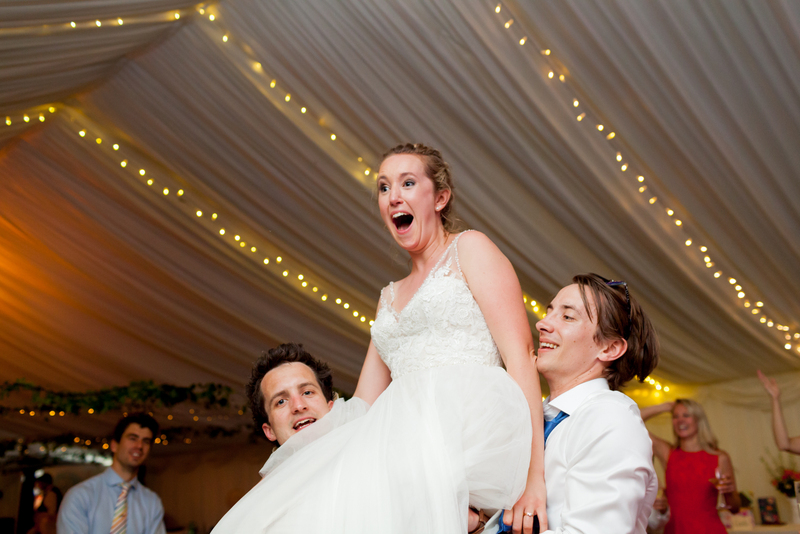 I did not realise how everyone would stay on the dancefloor of this wedding marquee for so long. 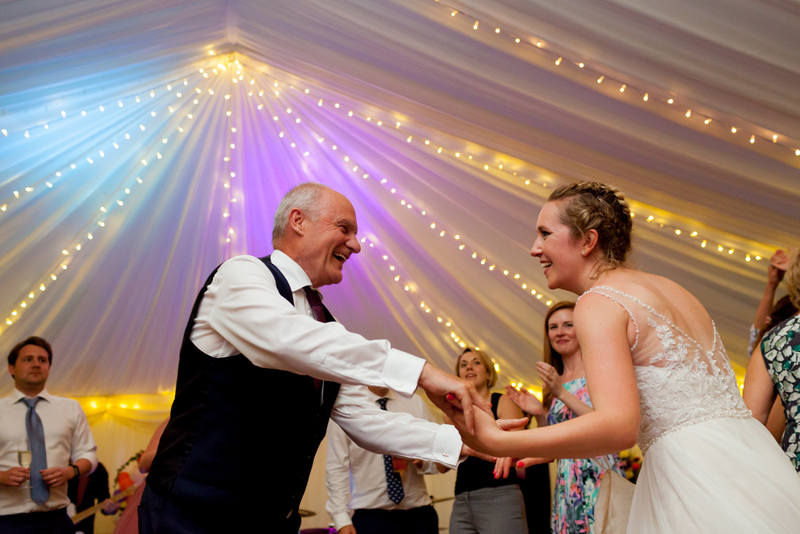 Some great dance moves with everyone, young and old partying the night away! 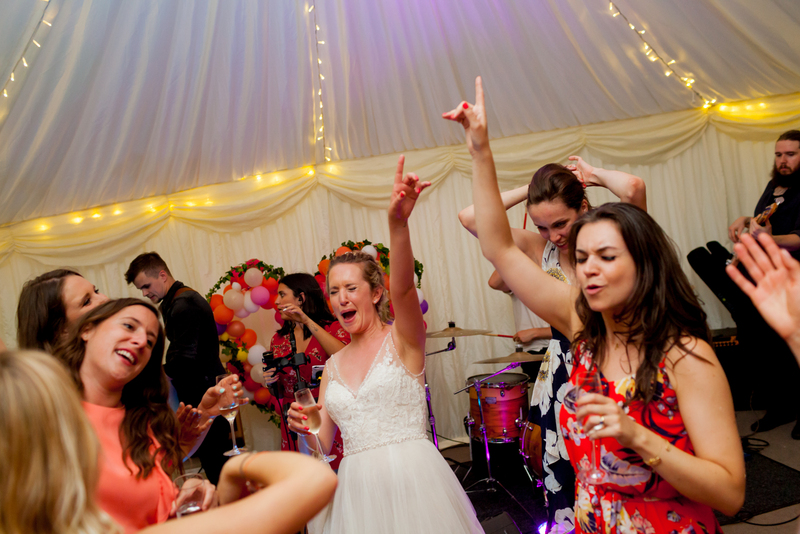 True rock n roll style! 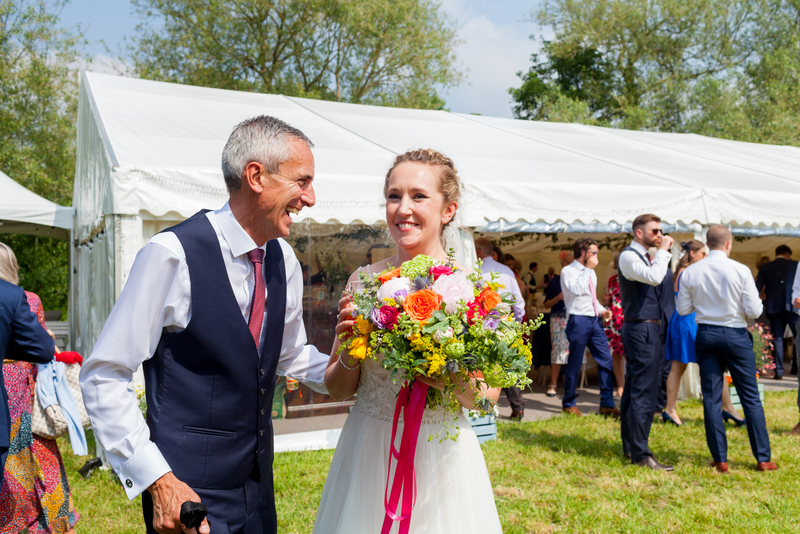 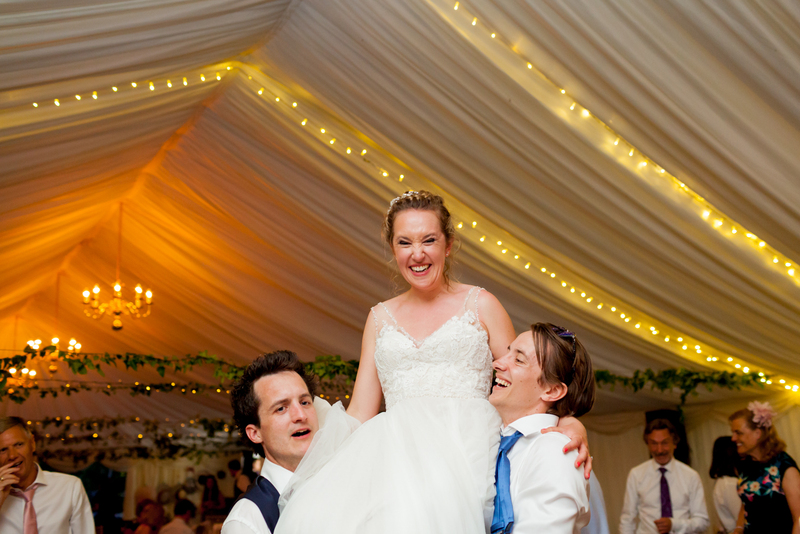 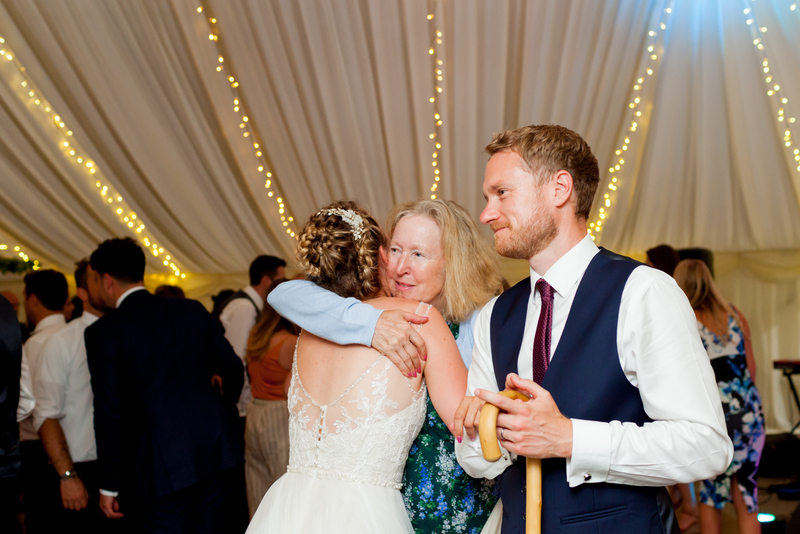 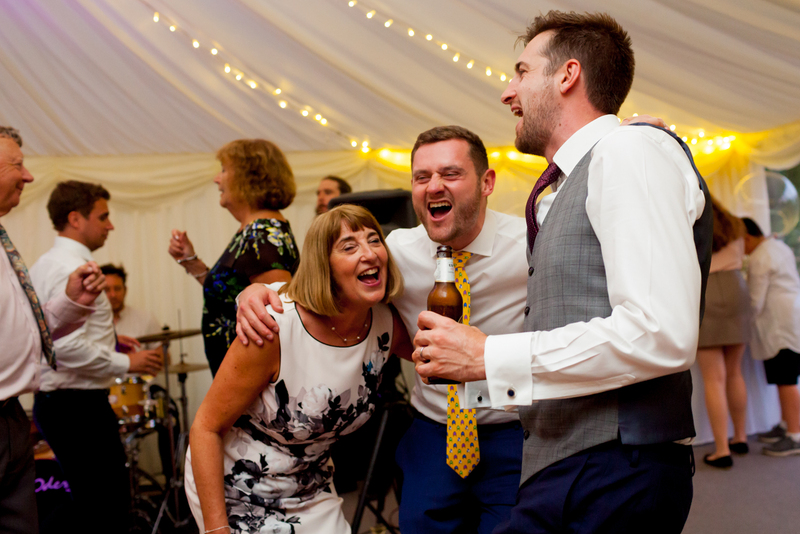 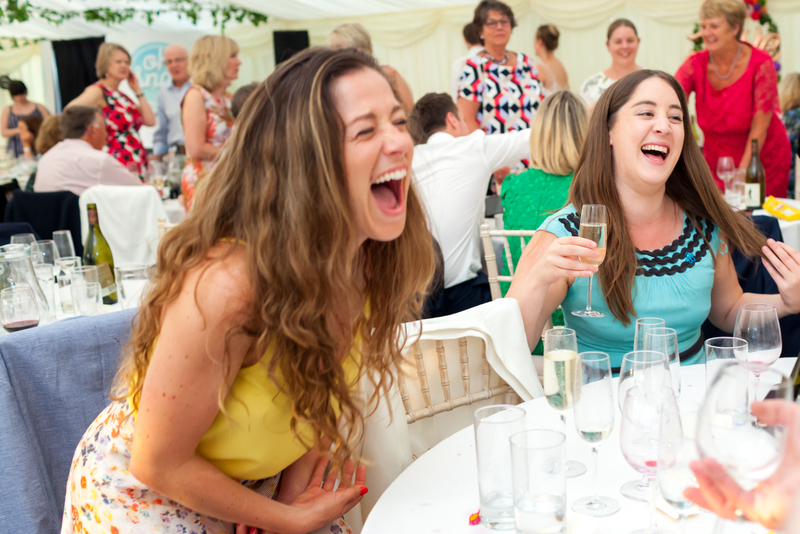 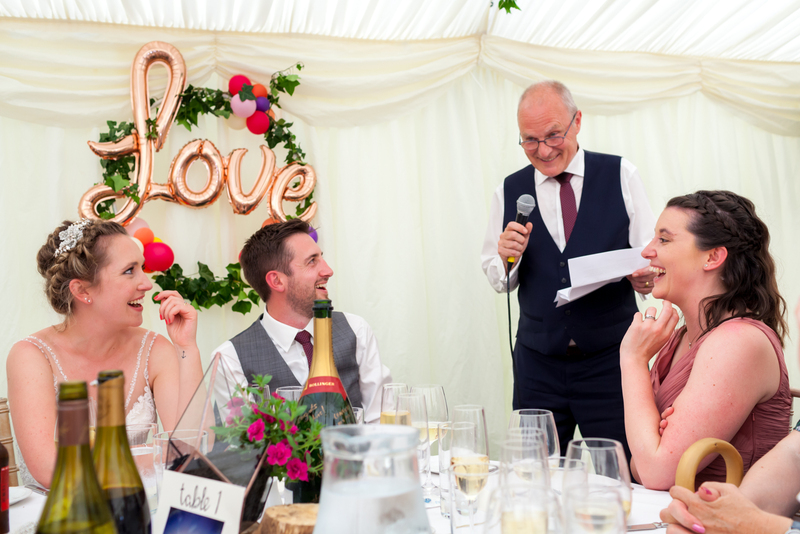 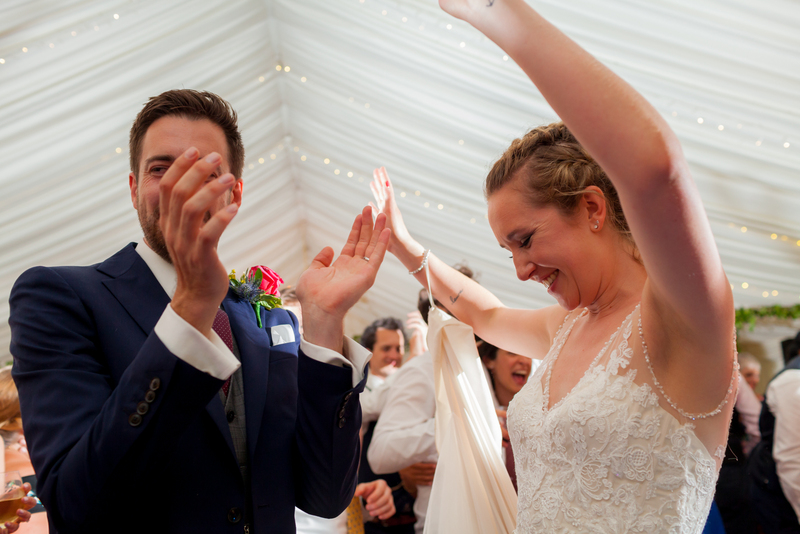 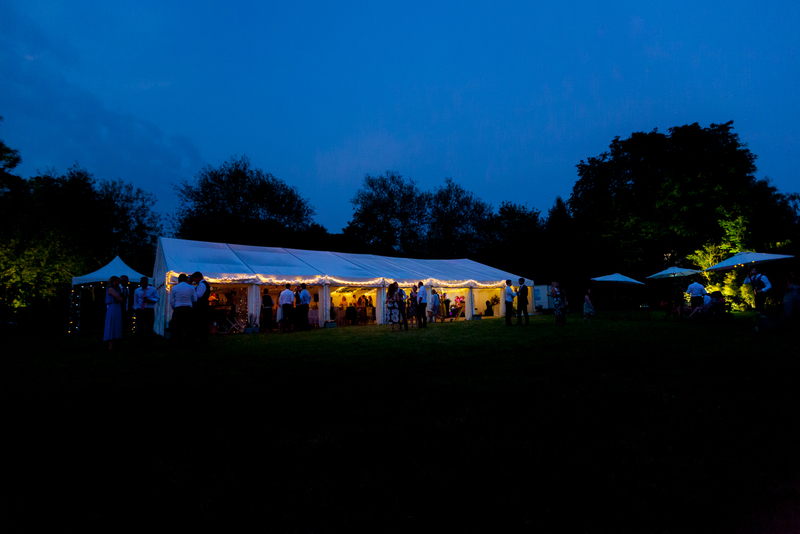 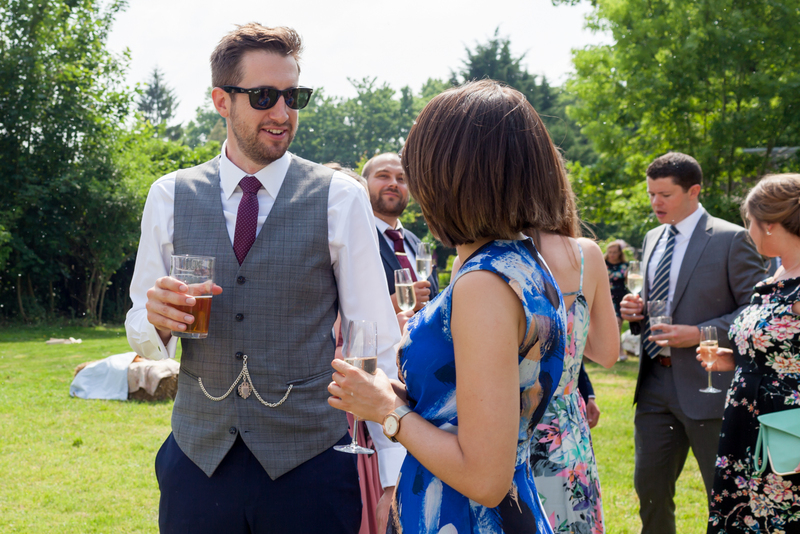 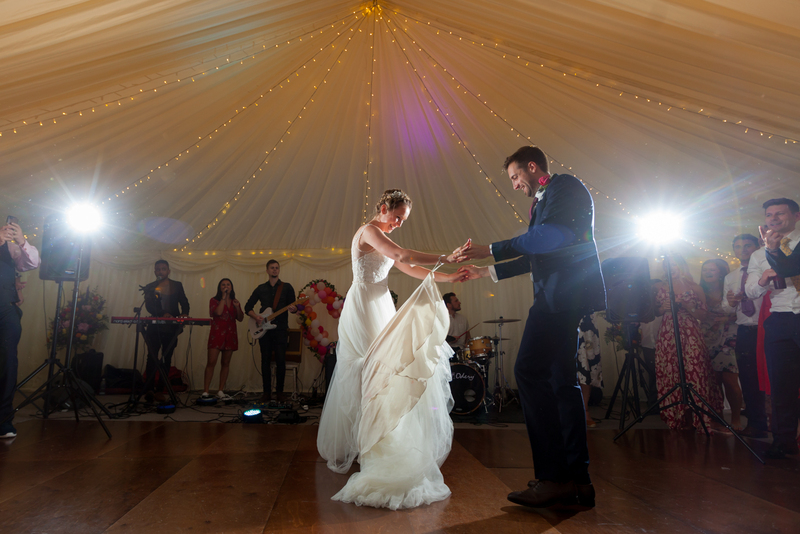 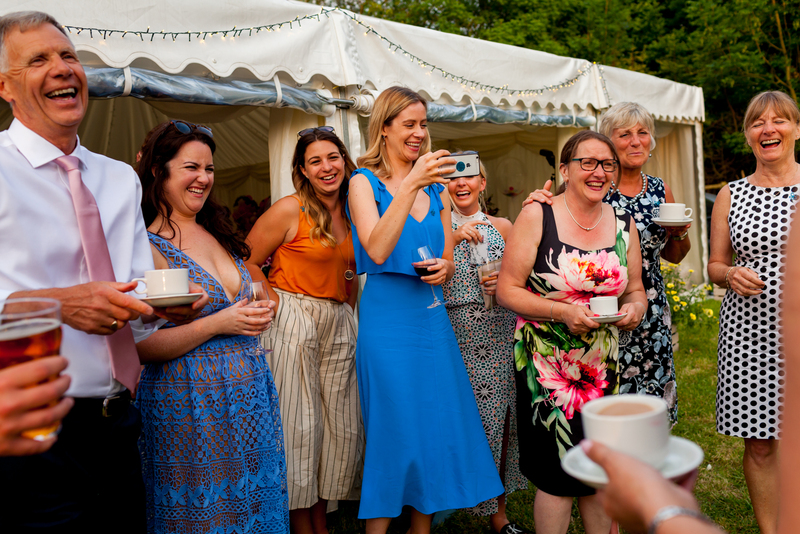 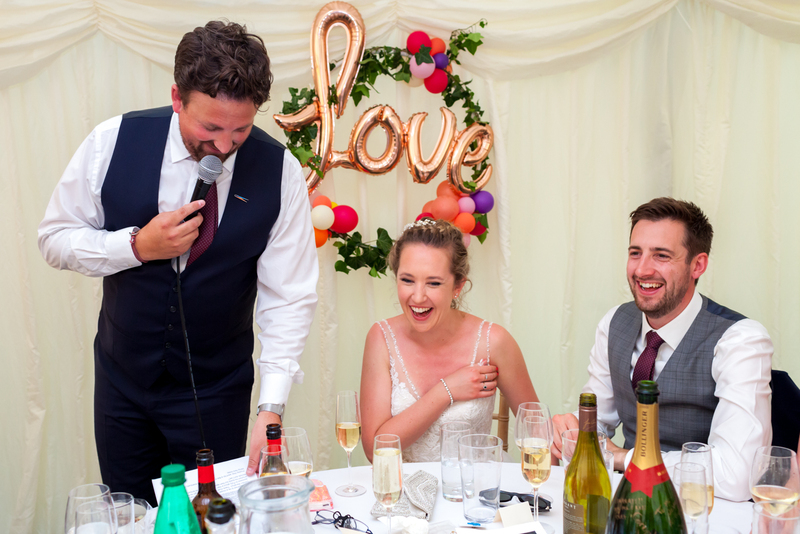 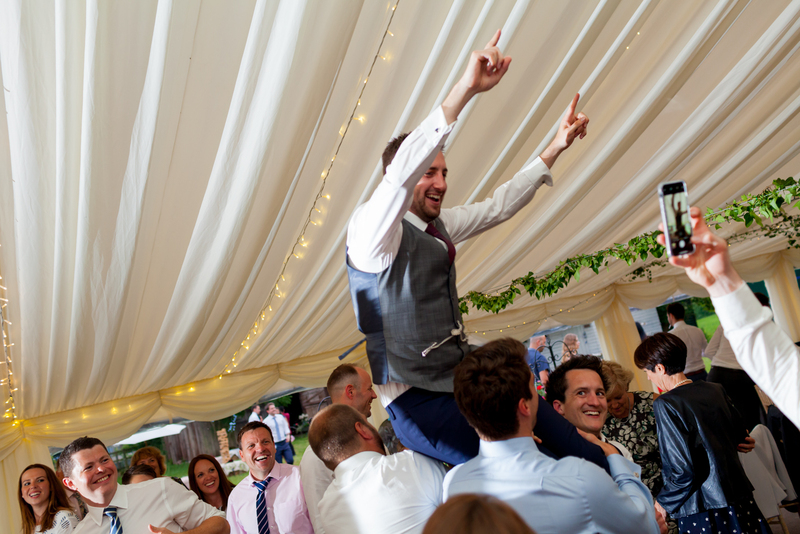 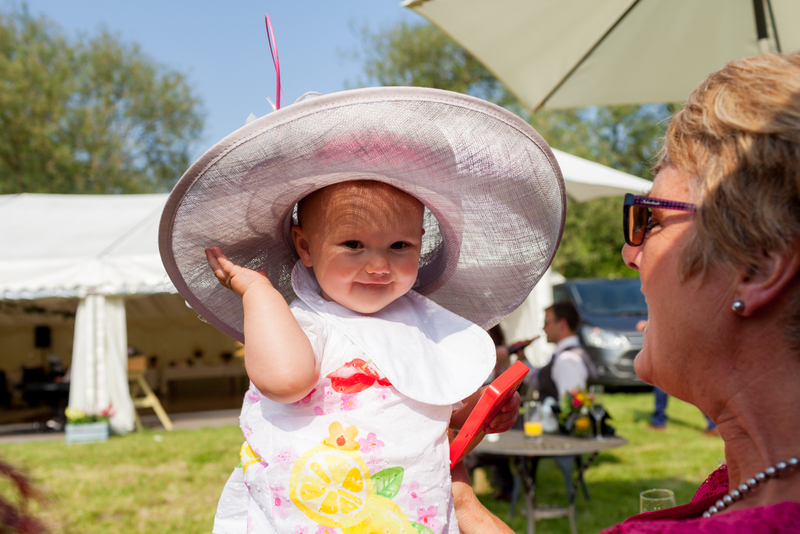 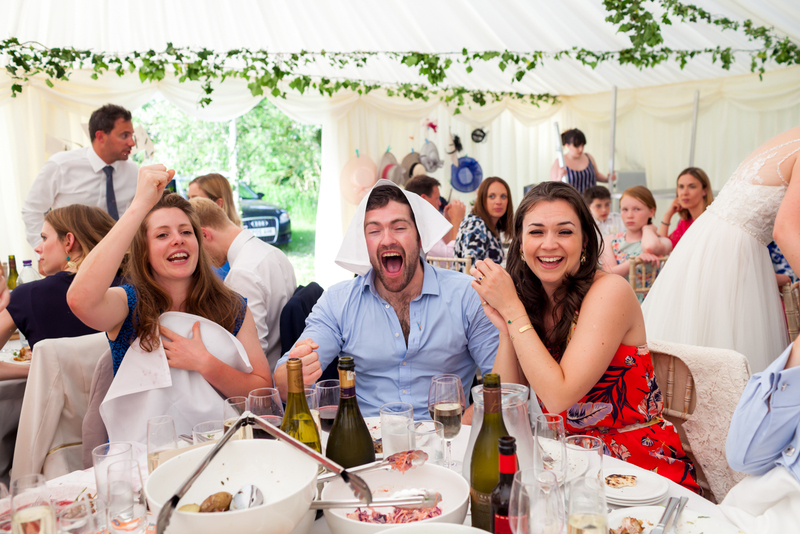 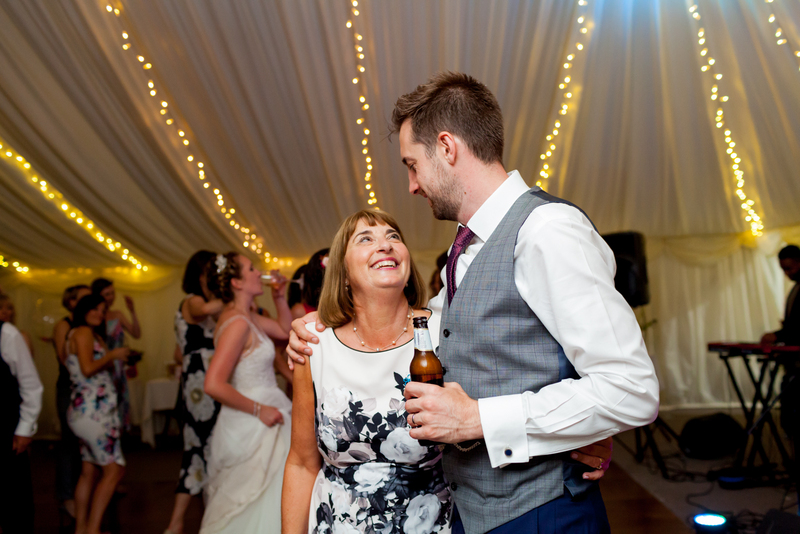 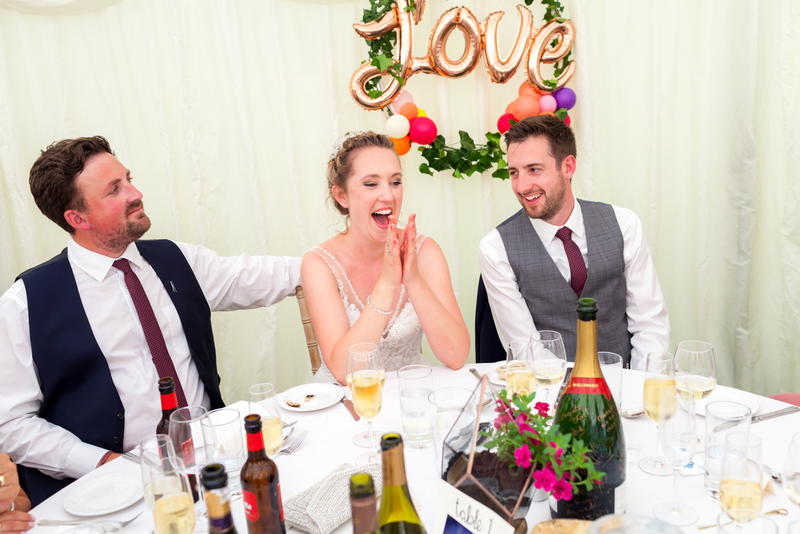 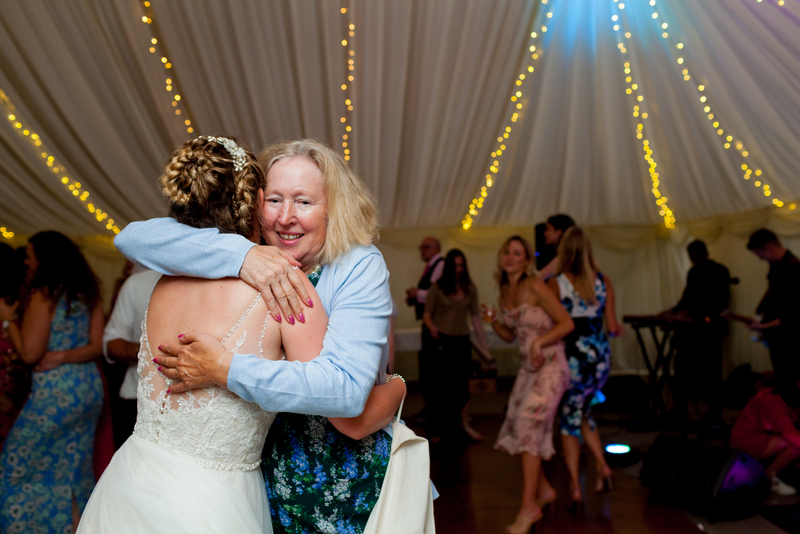 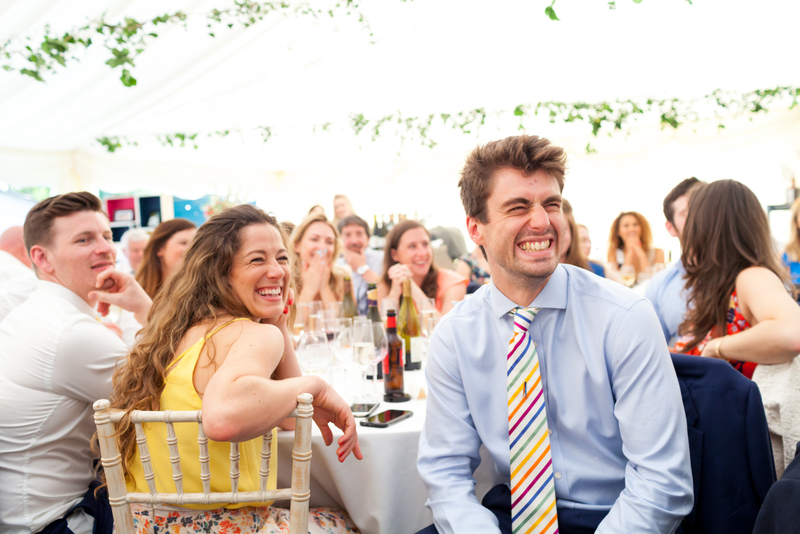 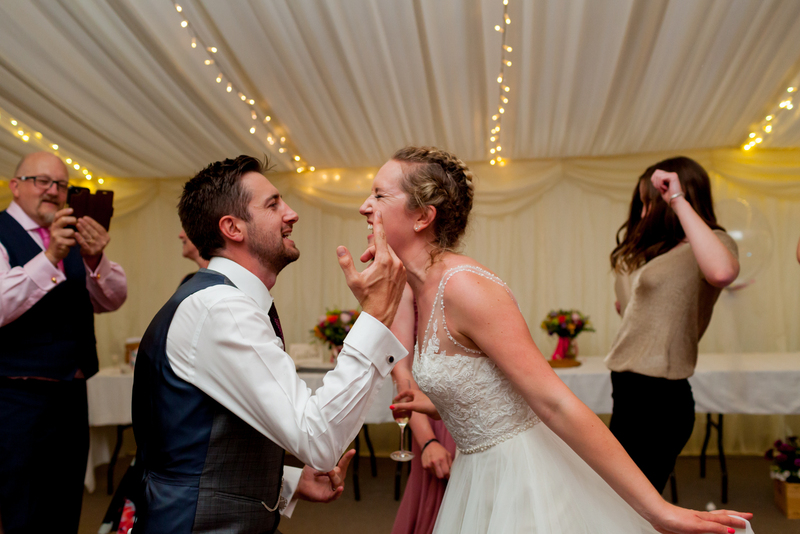 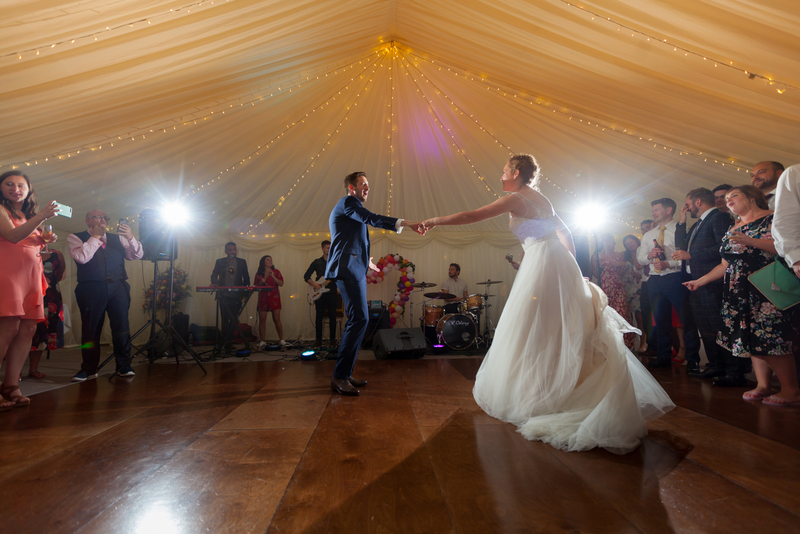 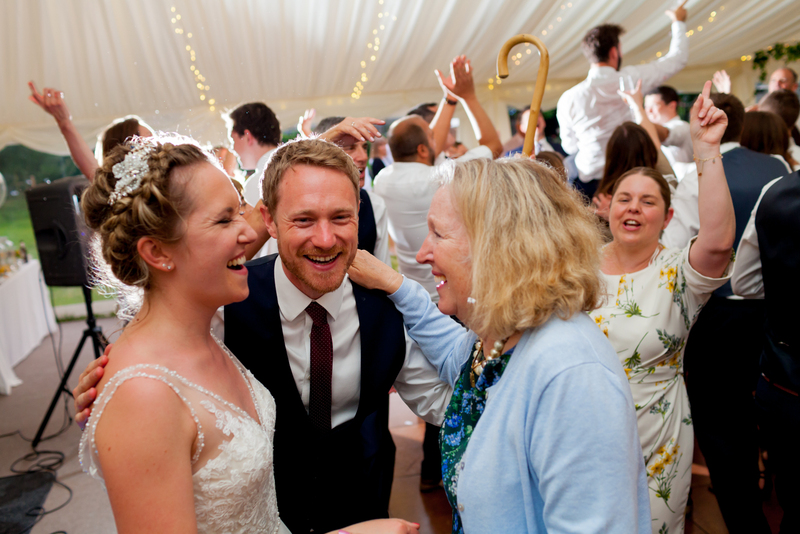 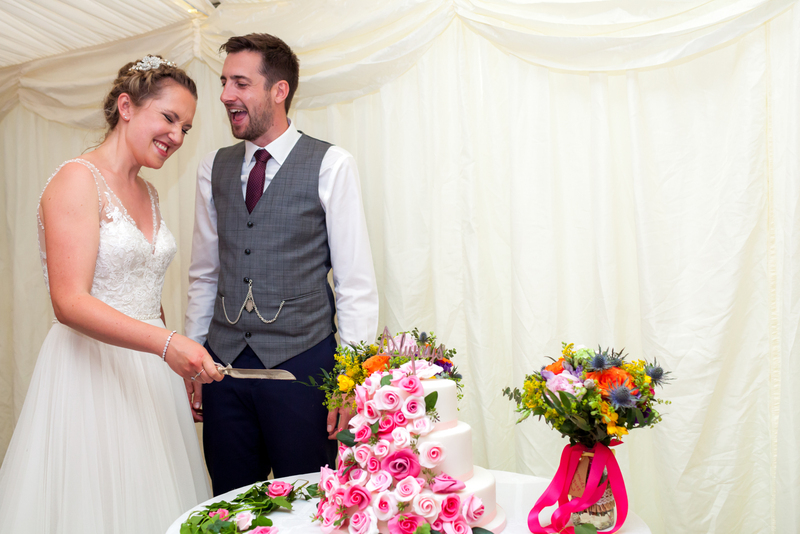 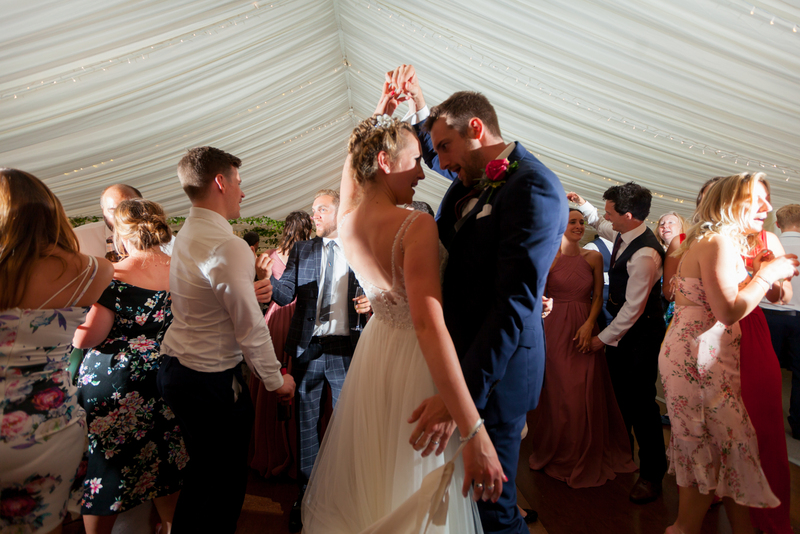 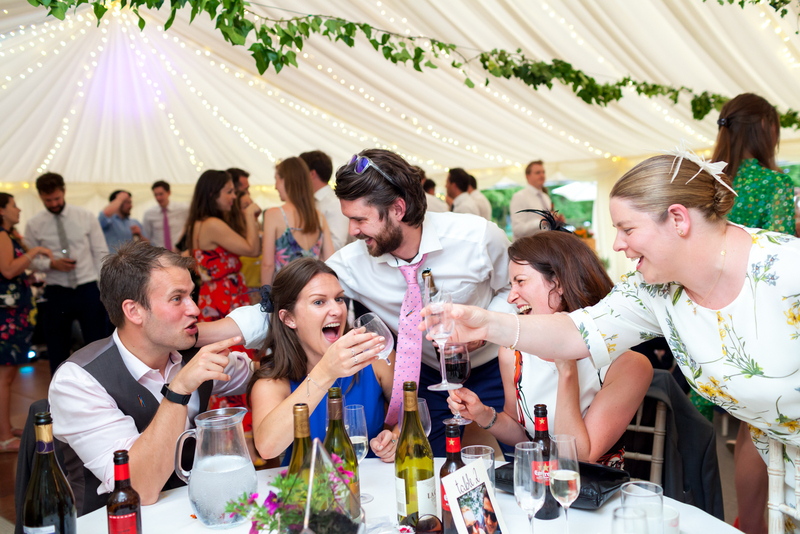 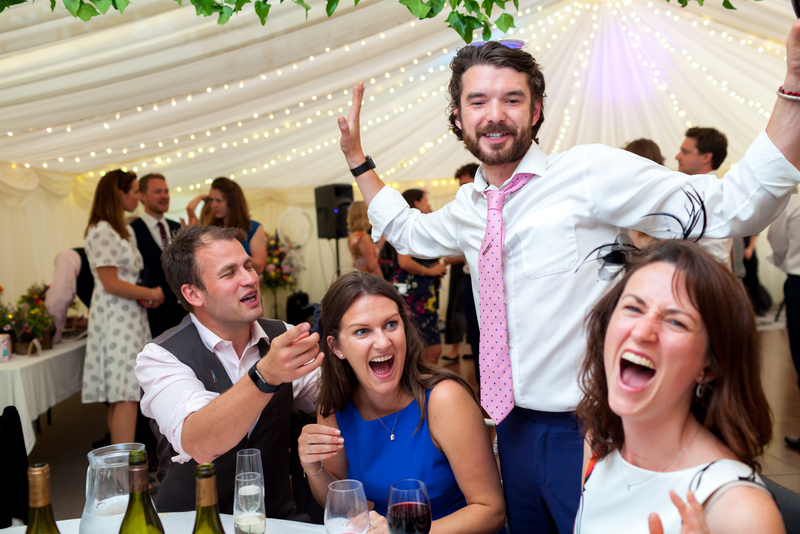 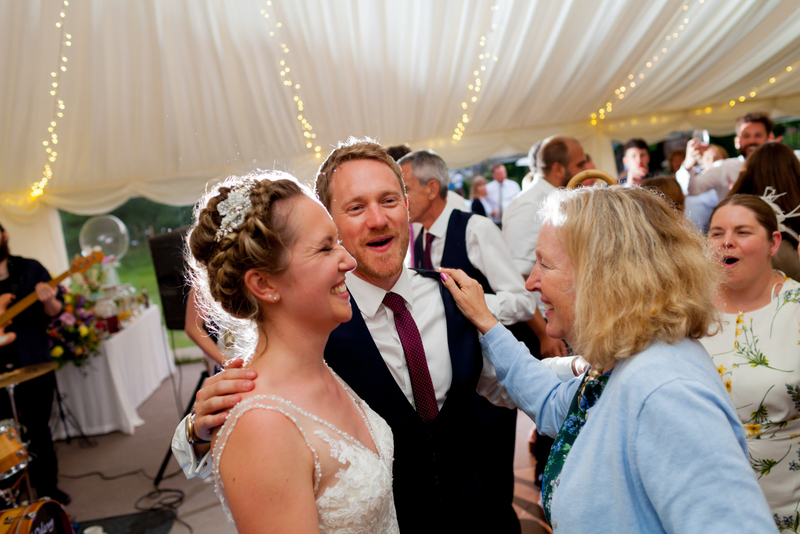 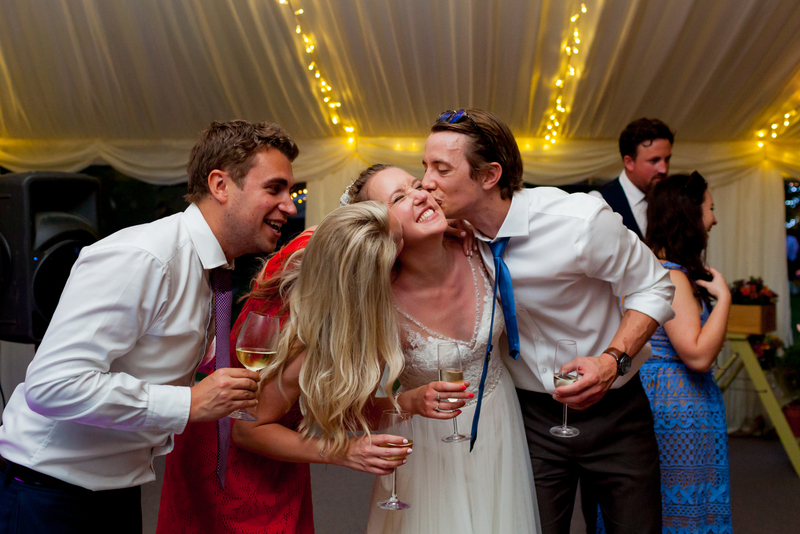 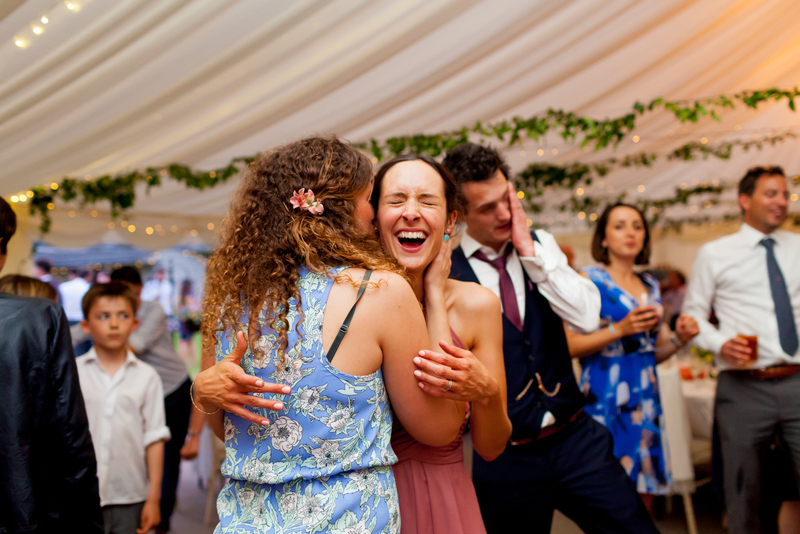 An amazing marquee wedding, fabulous food, awesome friends and family. 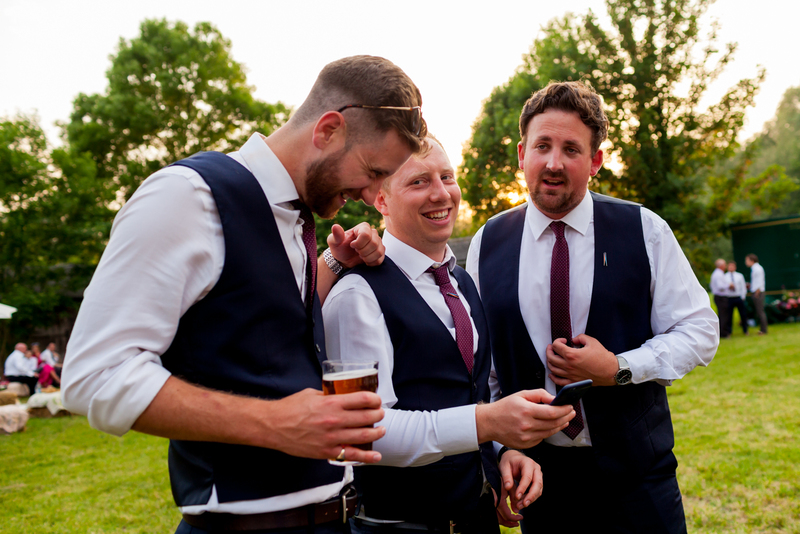 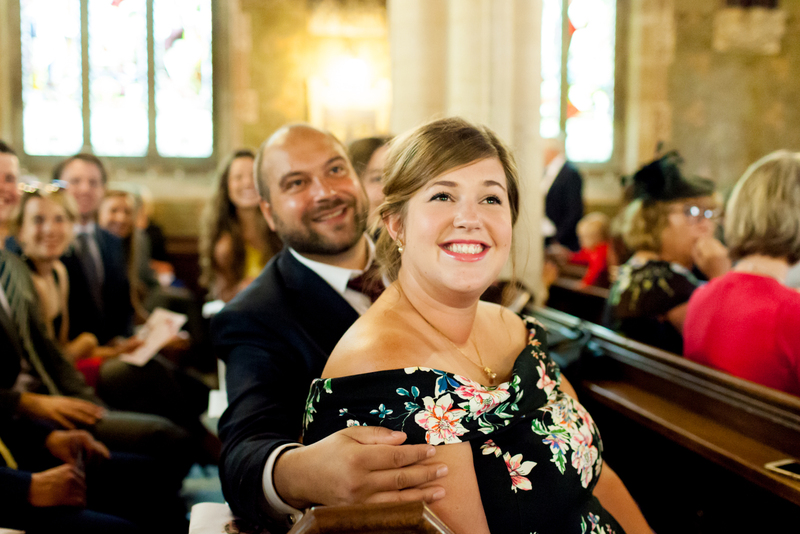 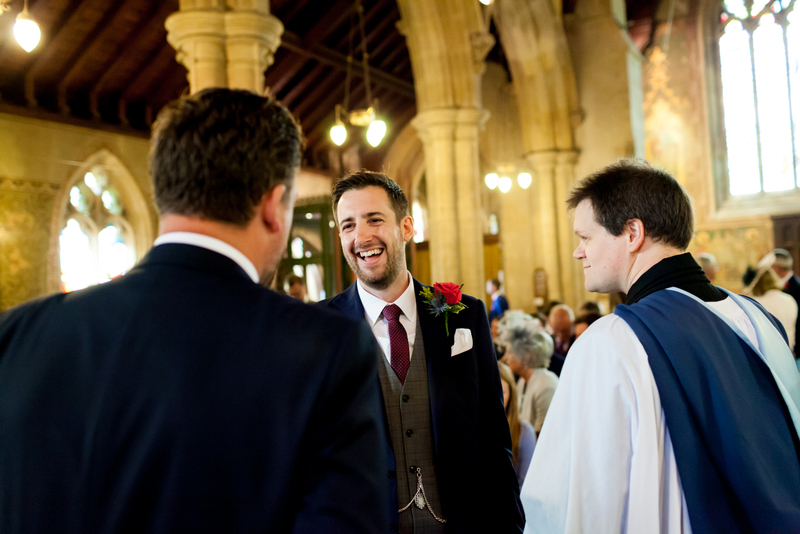 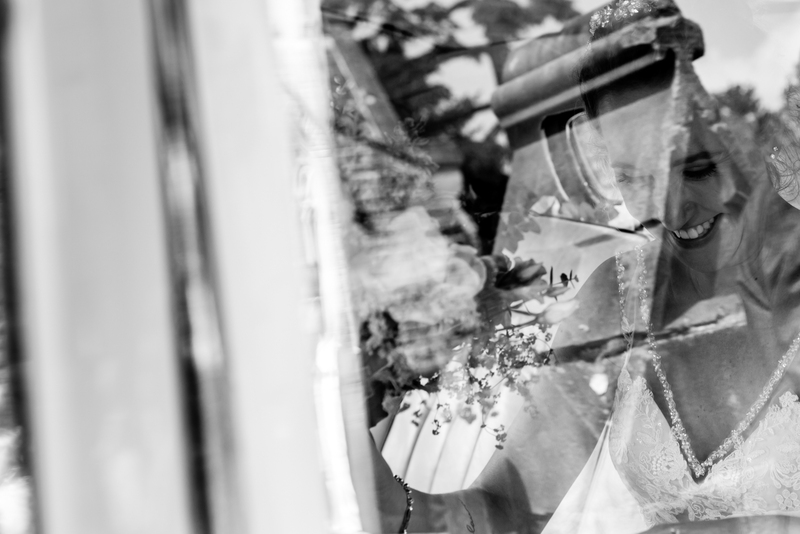 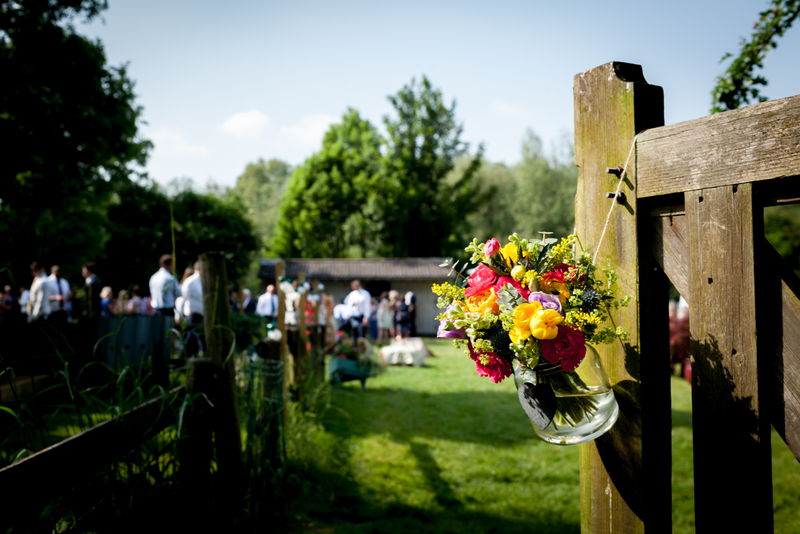 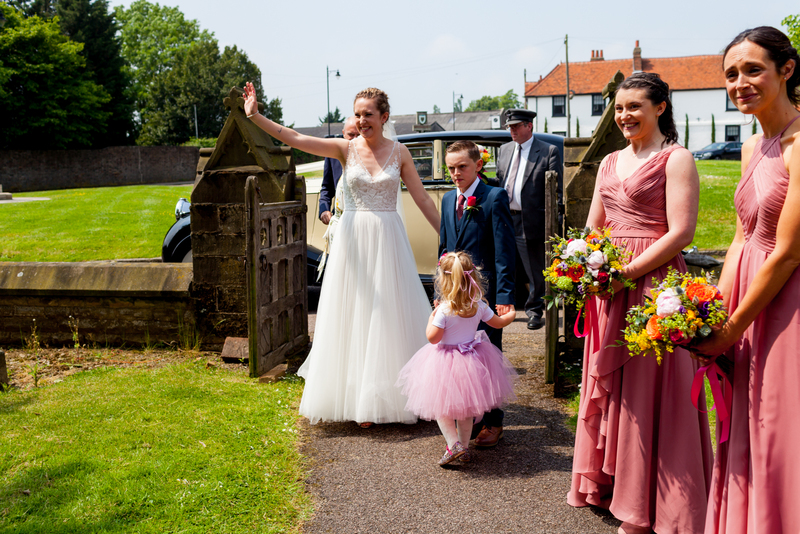 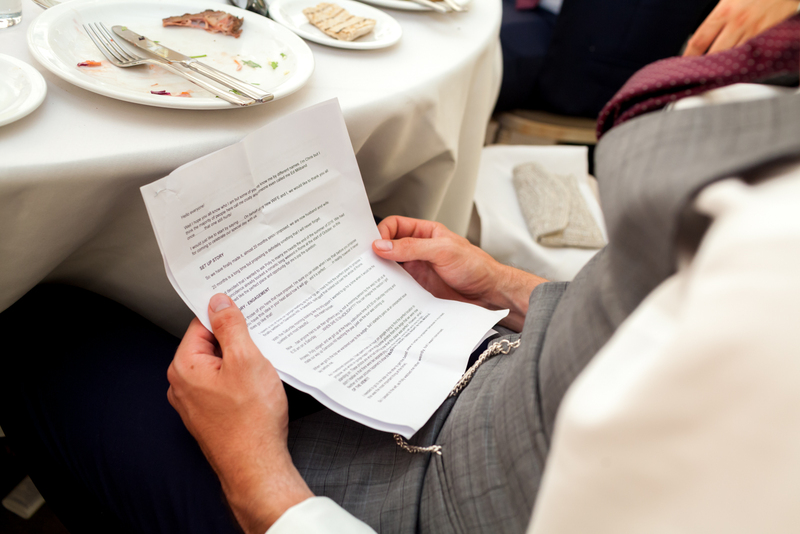 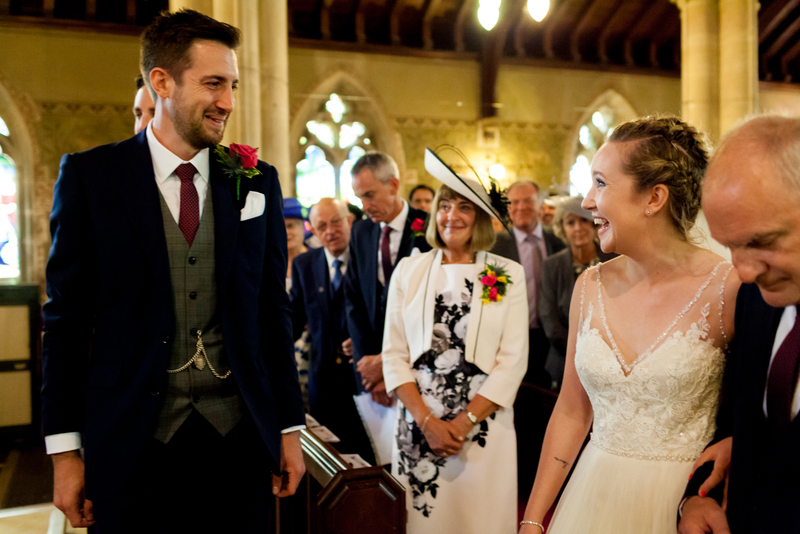 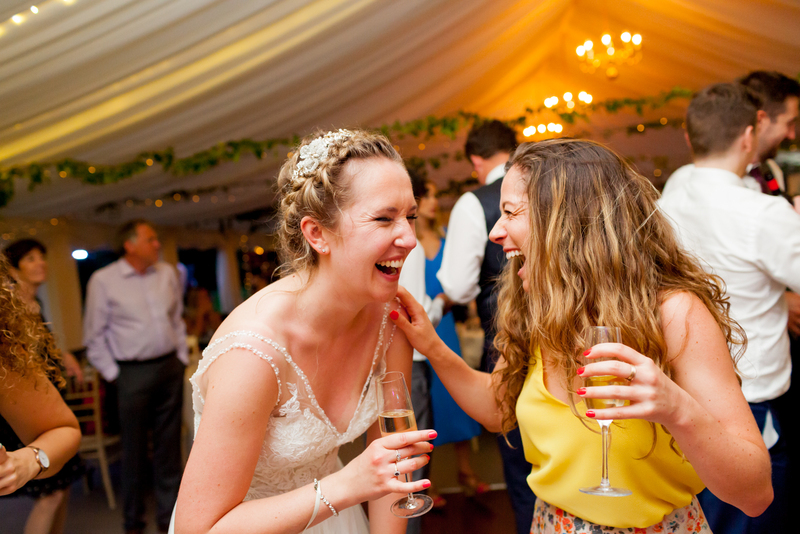 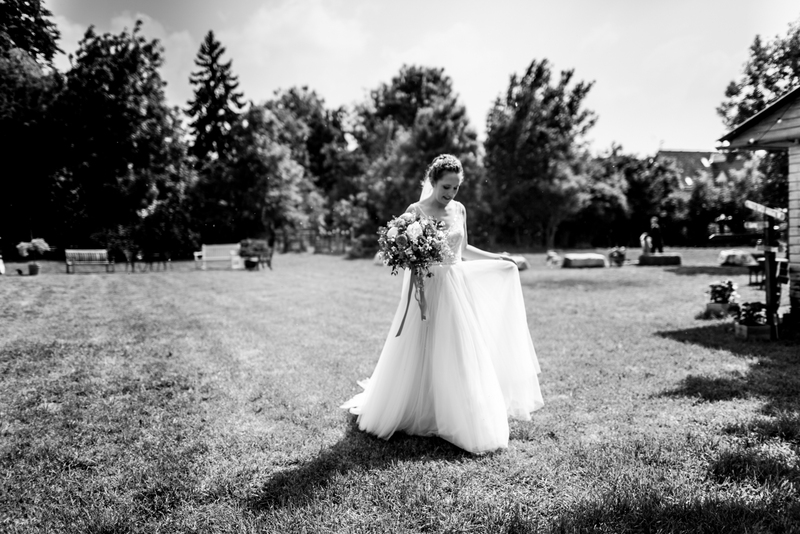 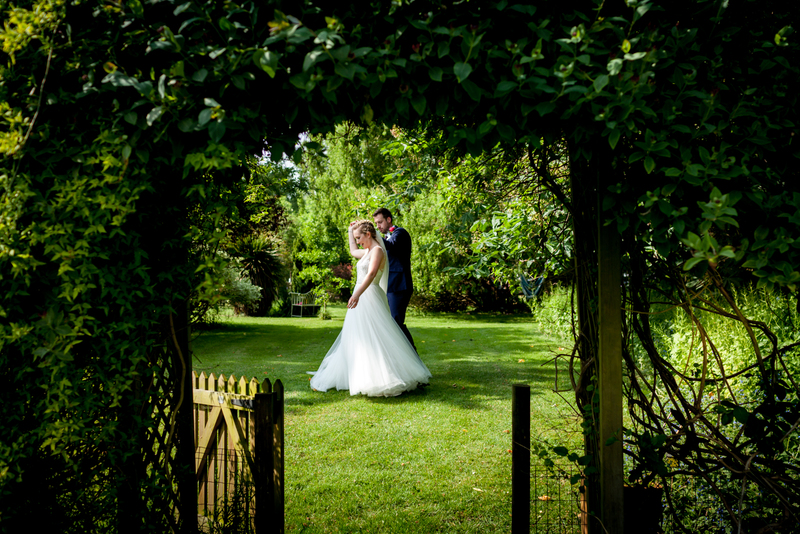 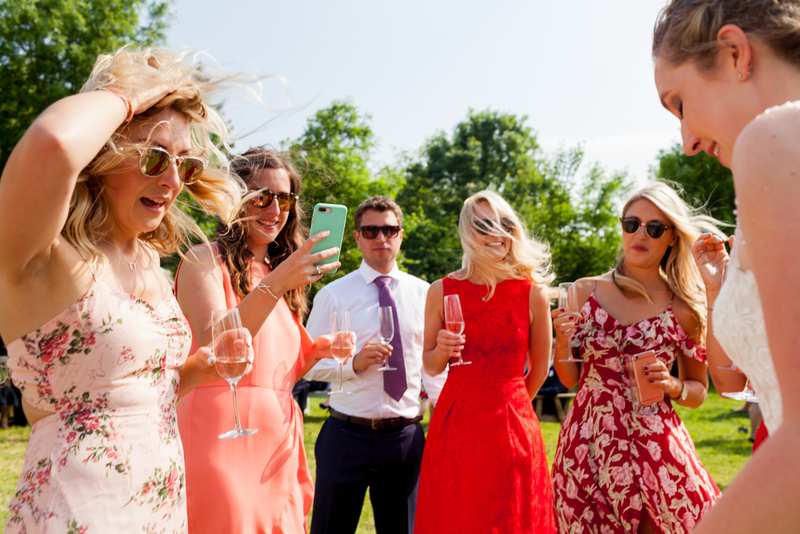 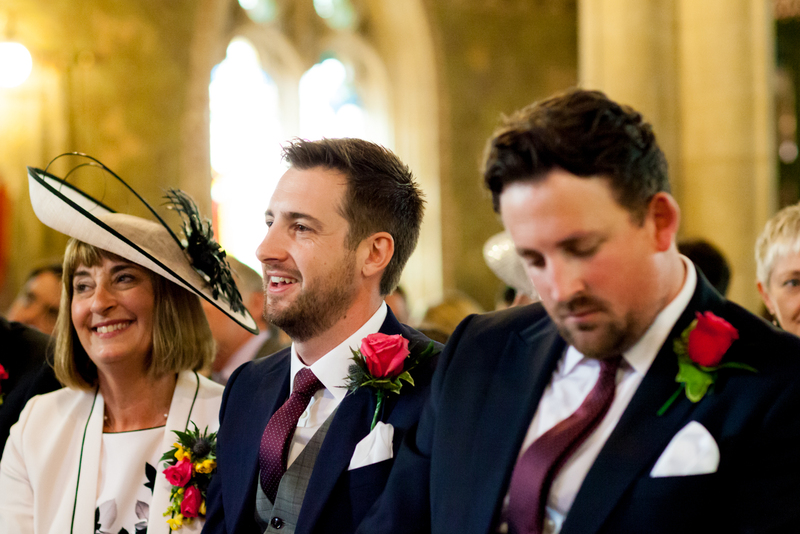 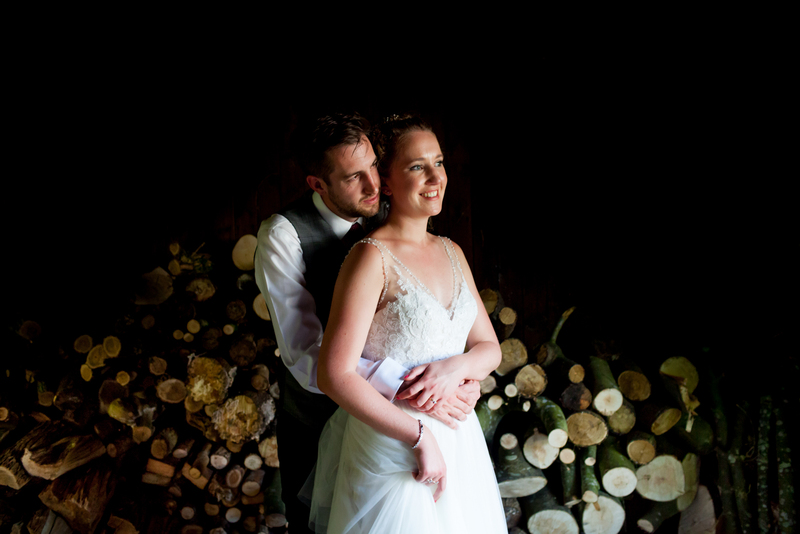 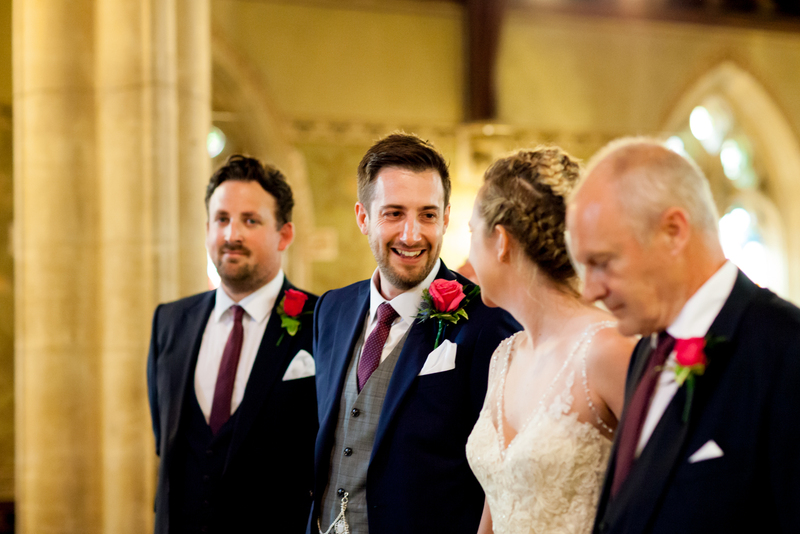 Some great areas in and around the grounds for great formal and candid wedding photography. 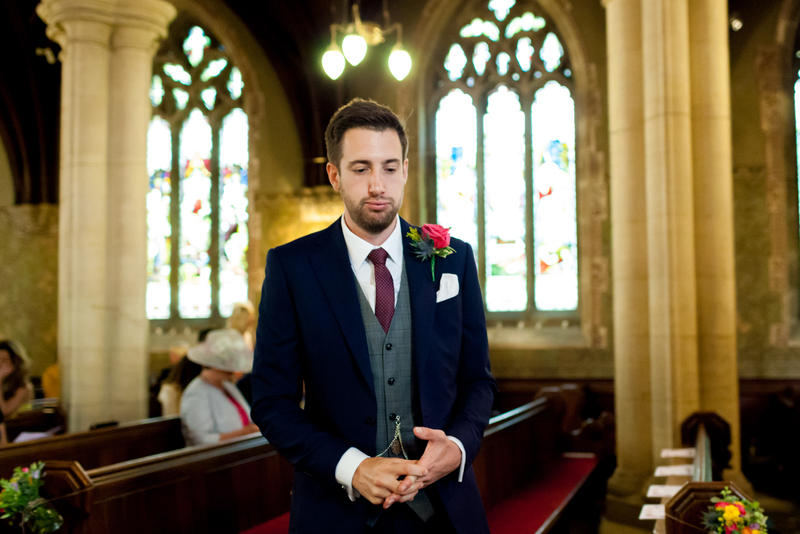 Stand out wedding moments for me would be the emotional wedding speeches from all. 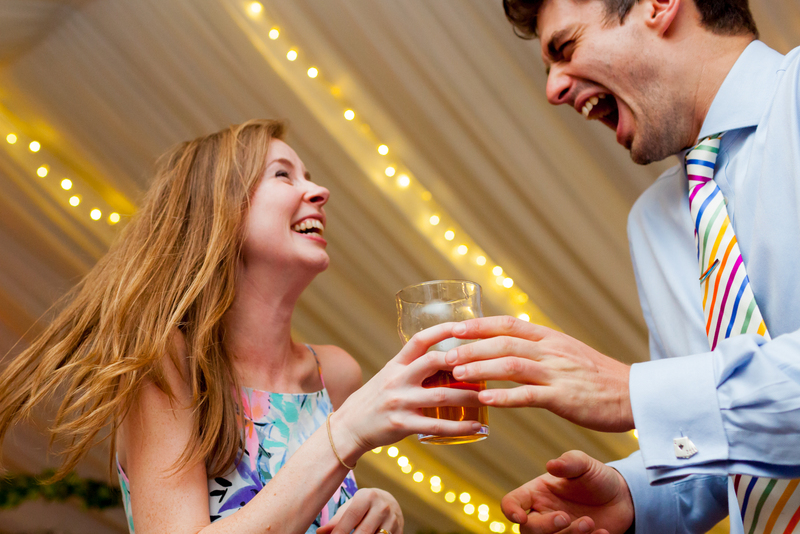 How much the newlyweds laughed throughout the day together. 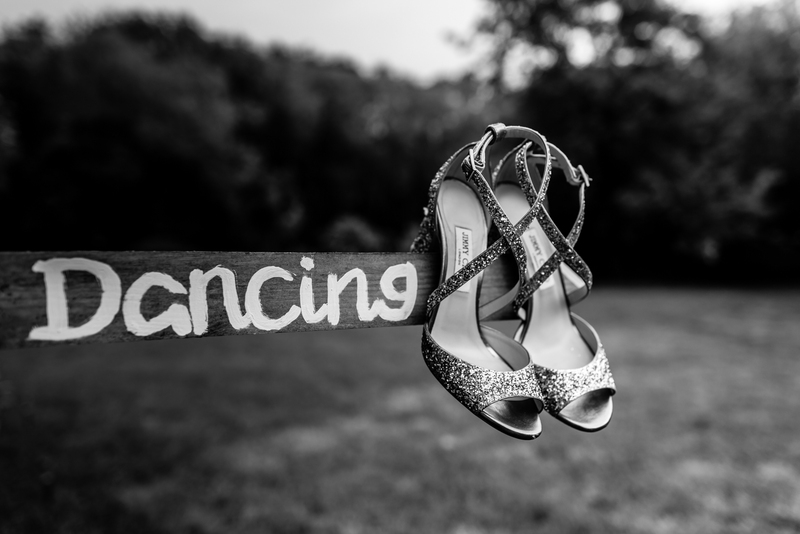 The dancing. 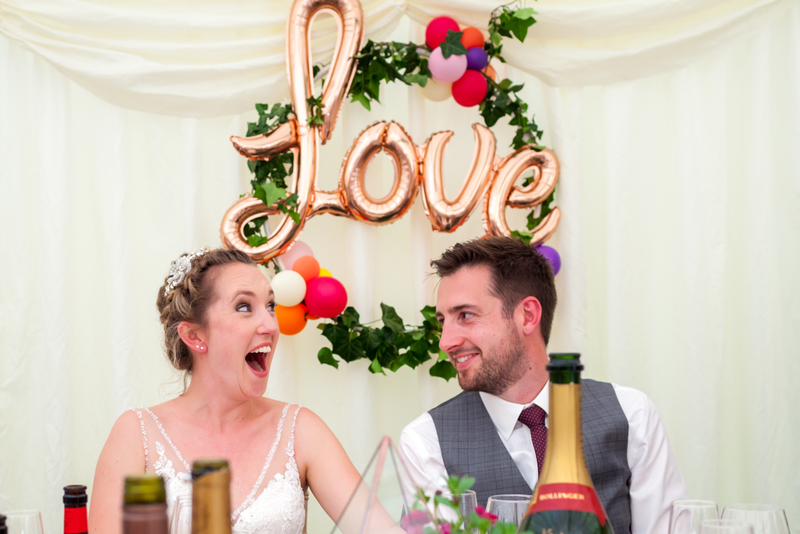 Ofcourse, how much they love each other.